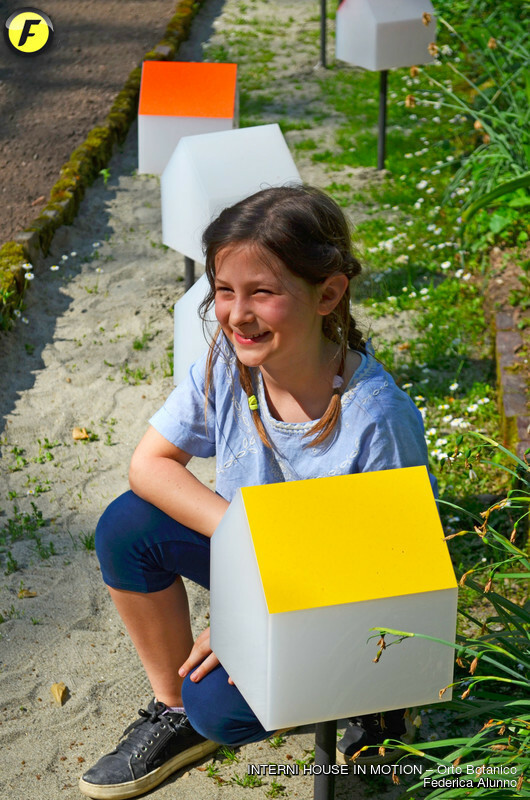 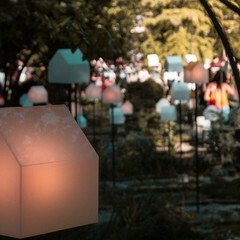 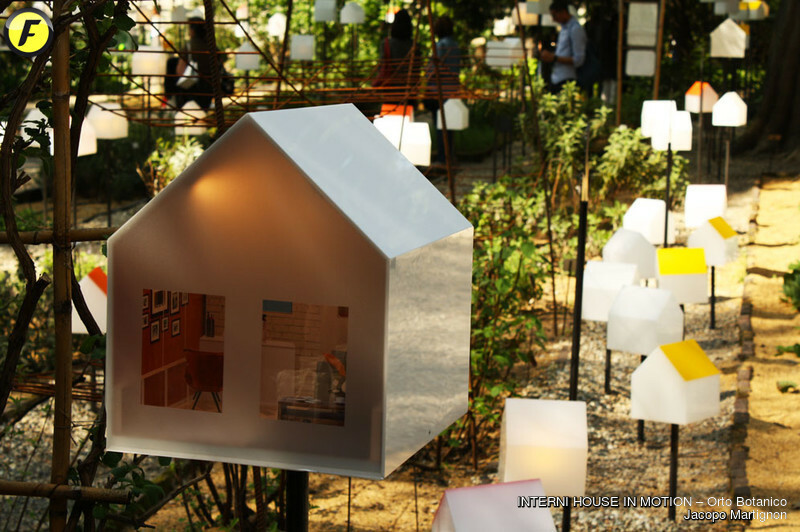 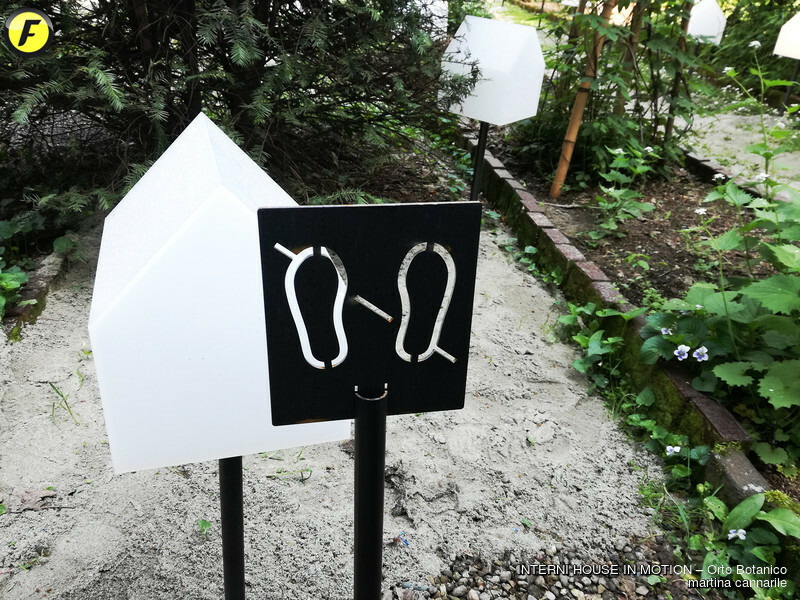 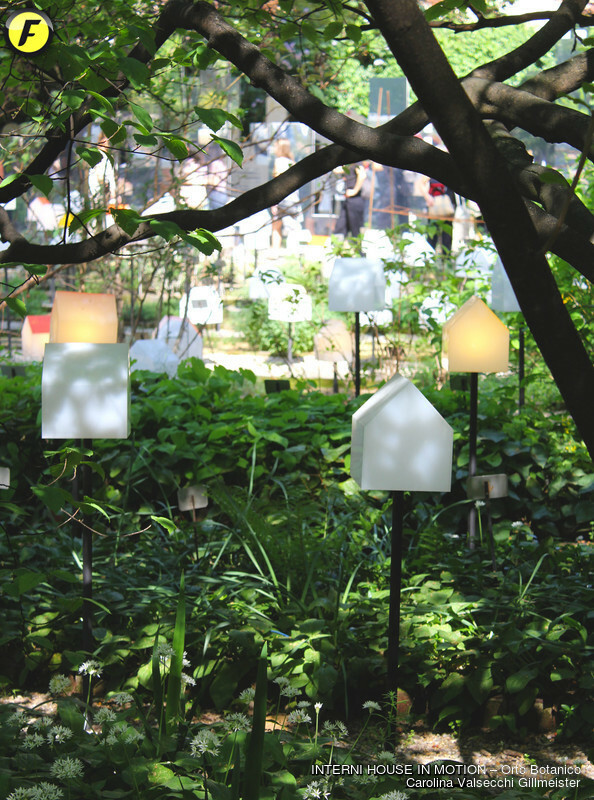 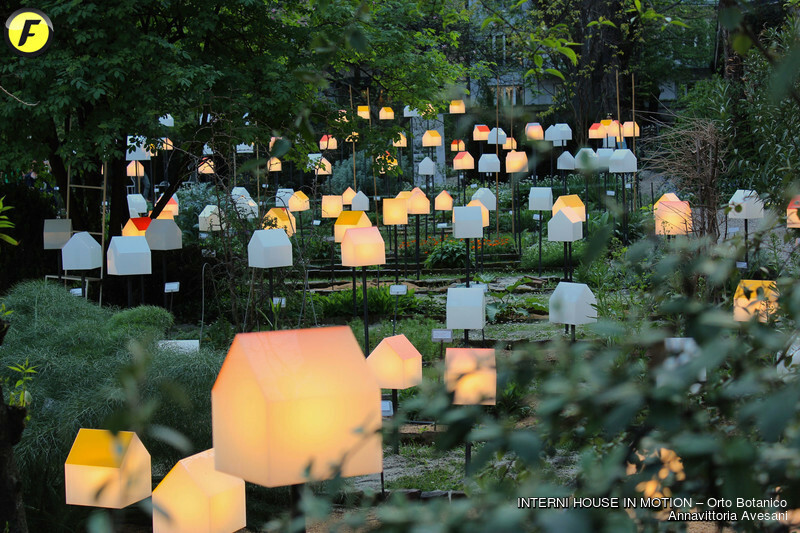 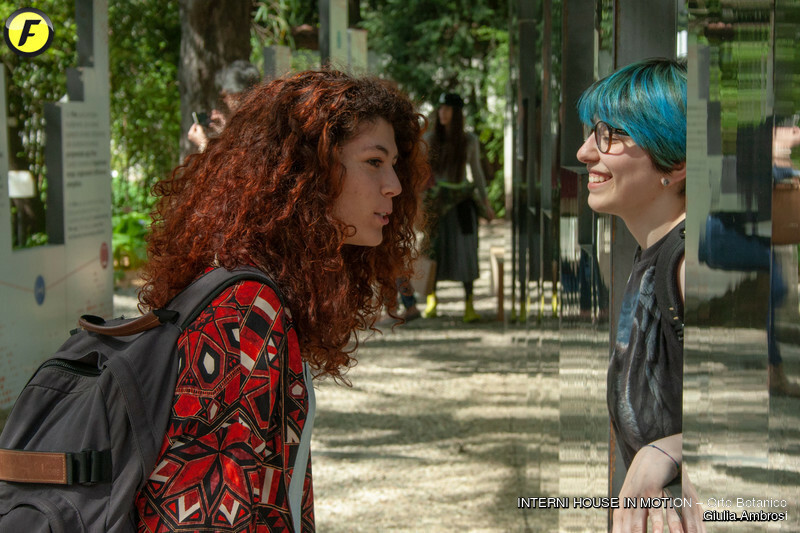 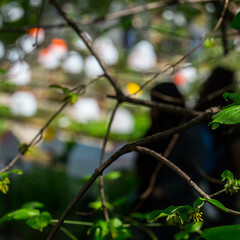 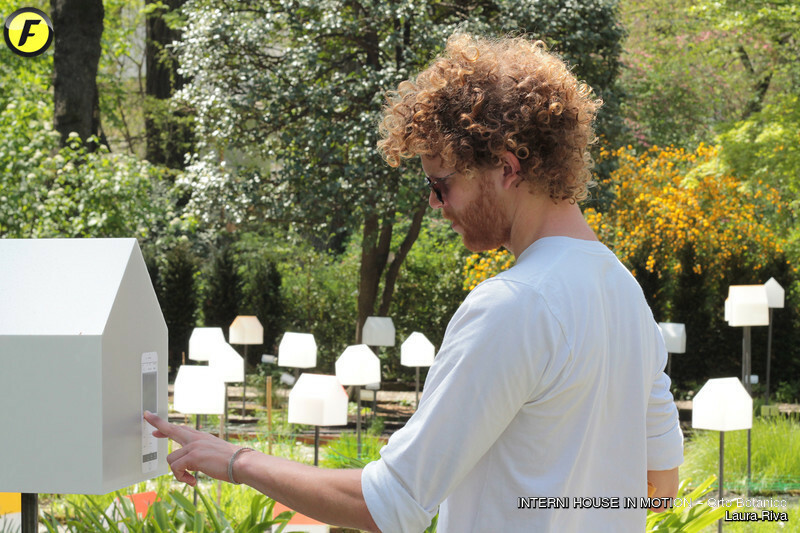 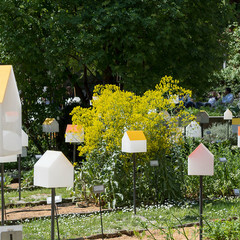 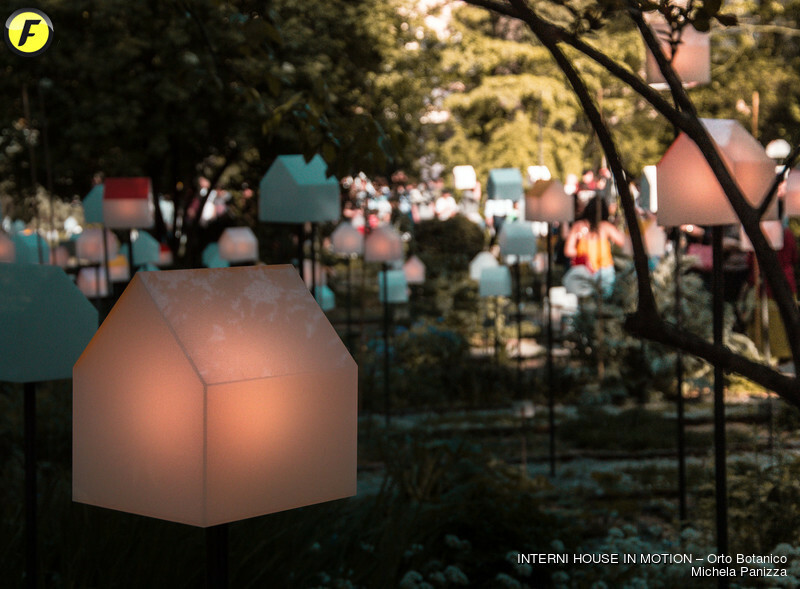 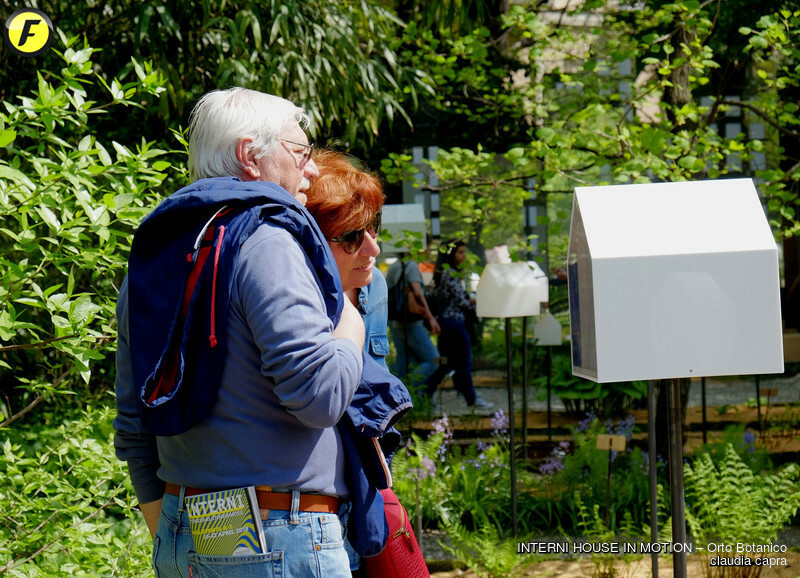 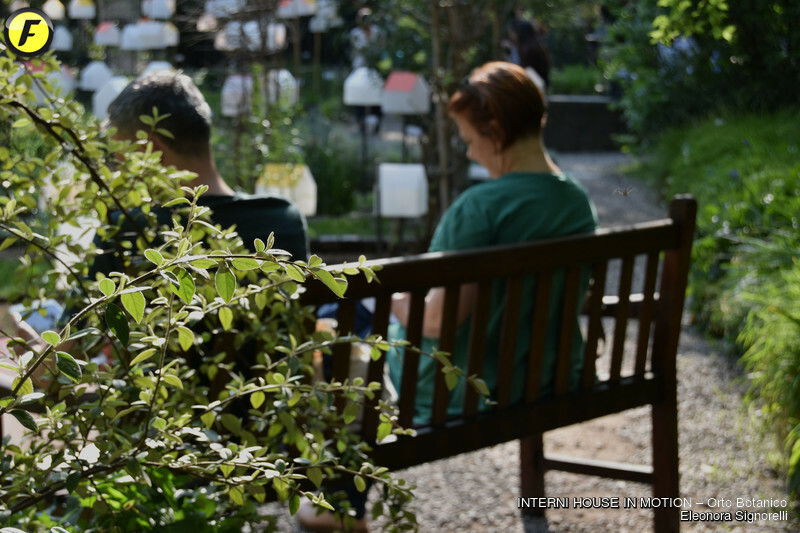 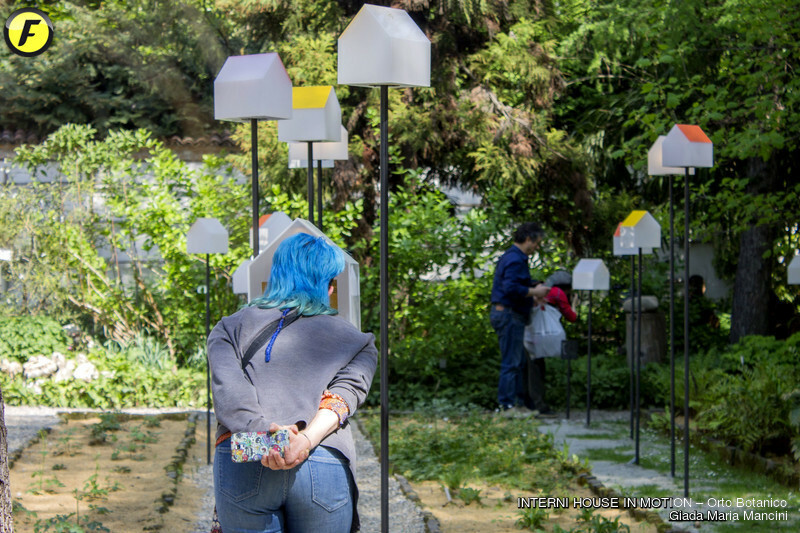 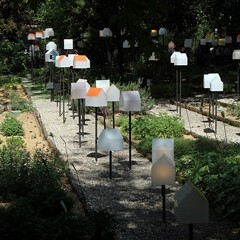 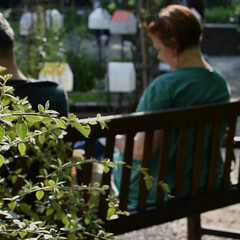 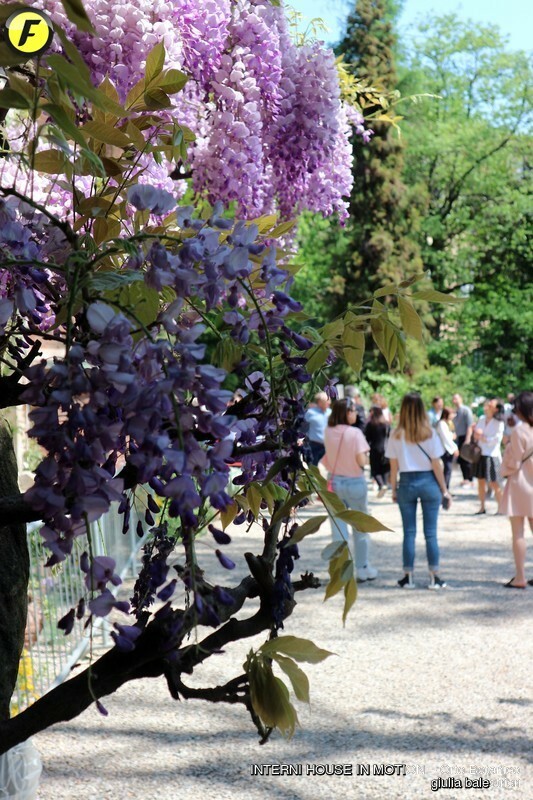 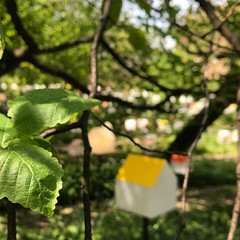 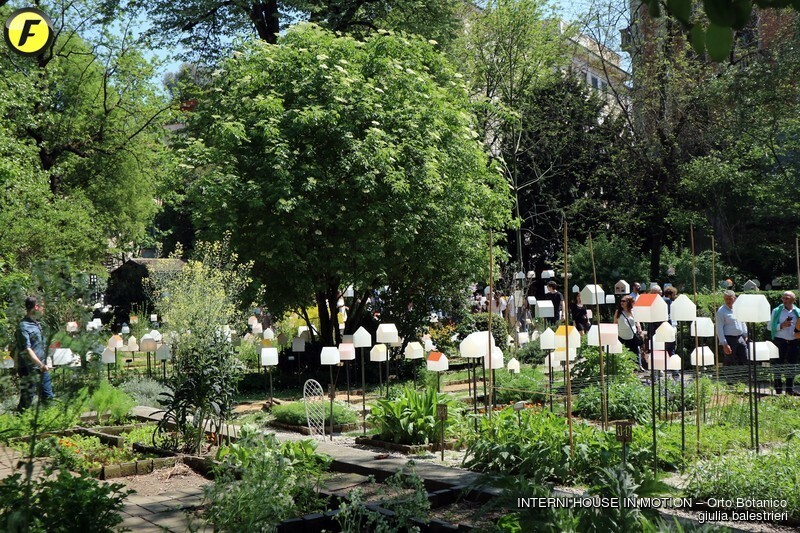 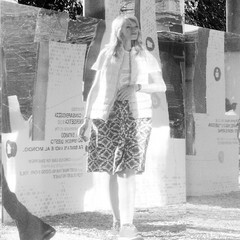 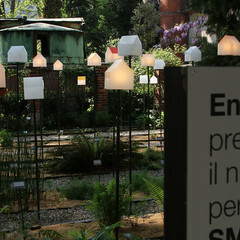 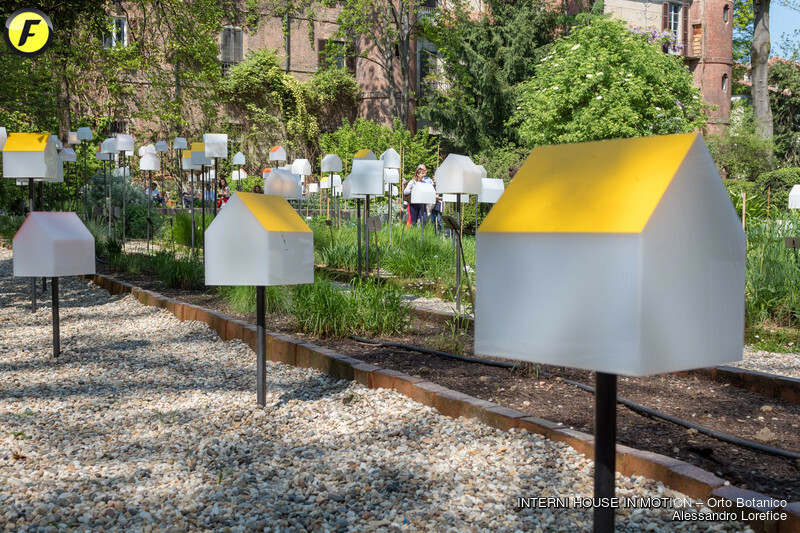 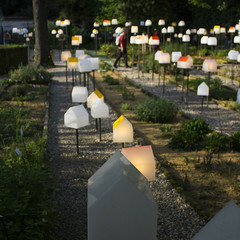 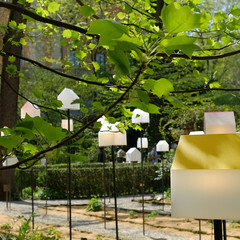 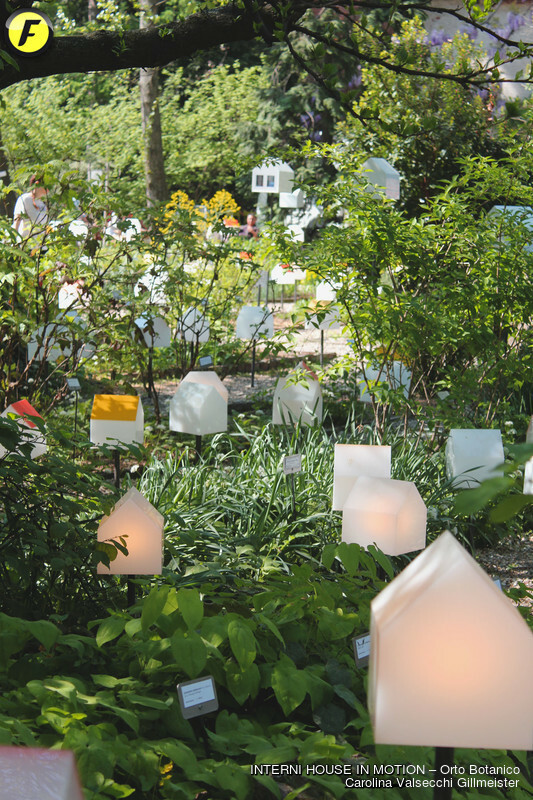 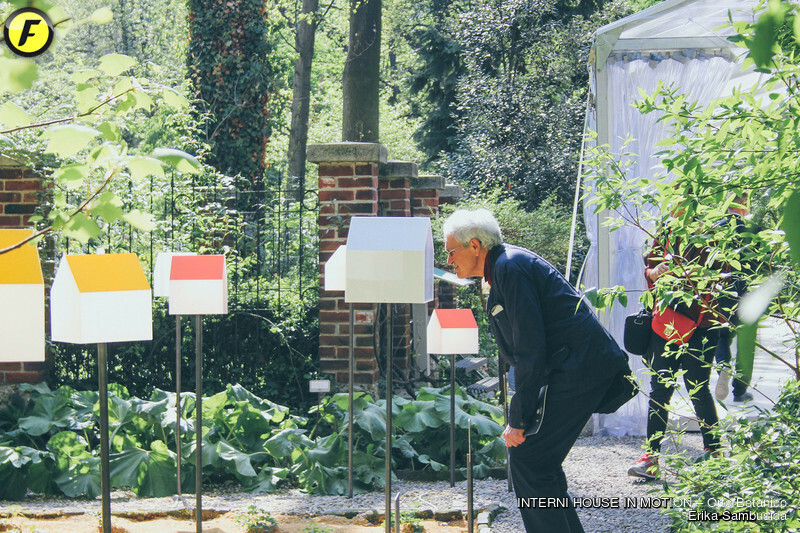 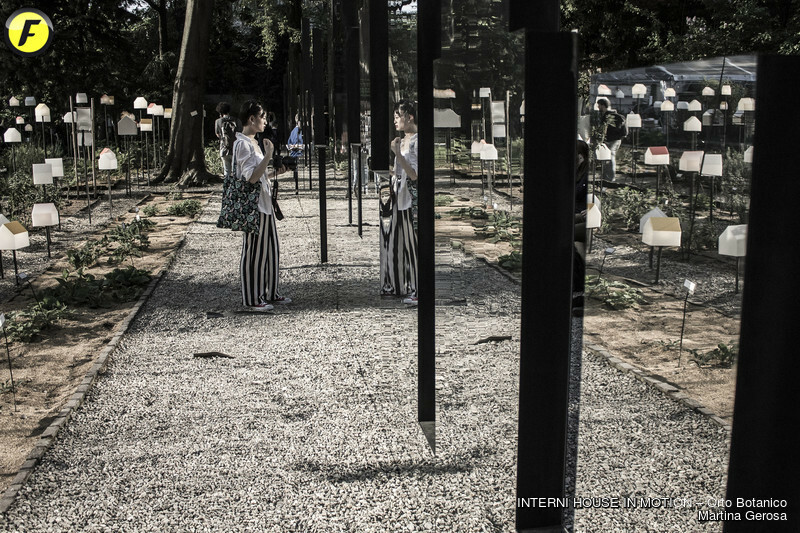 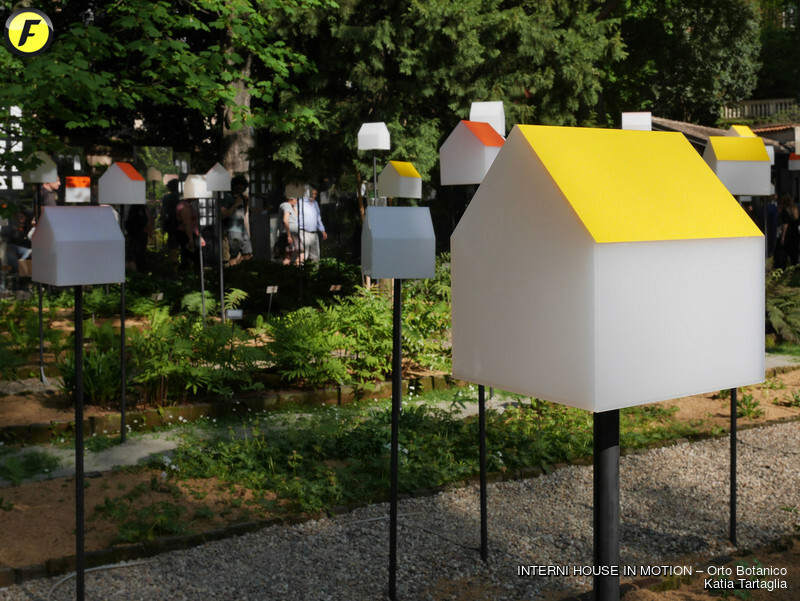 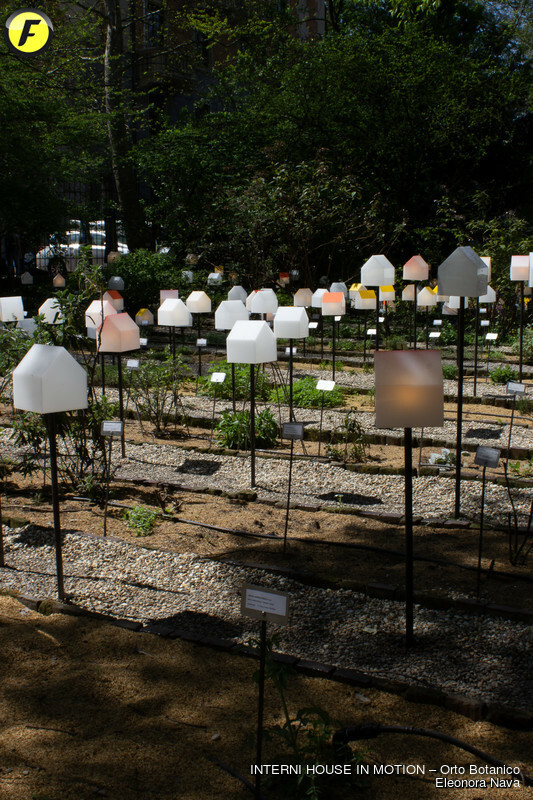 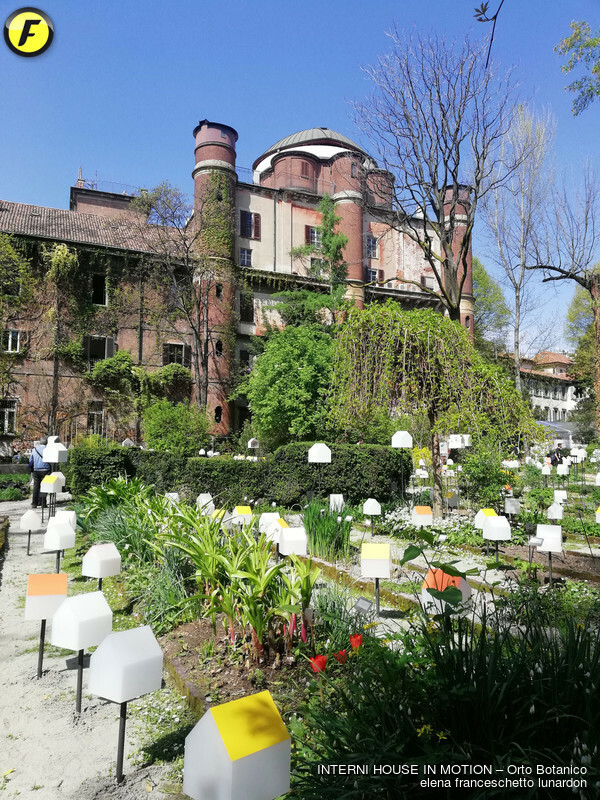 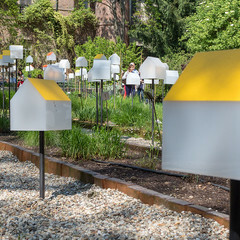 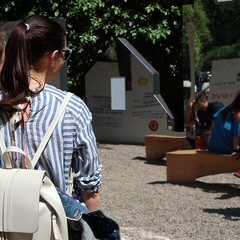 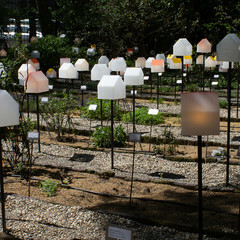 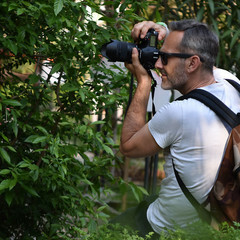 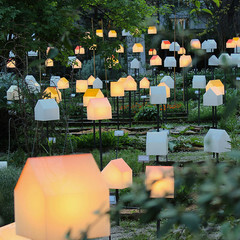 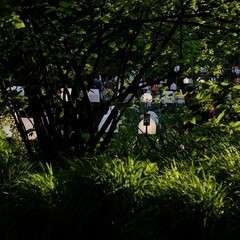 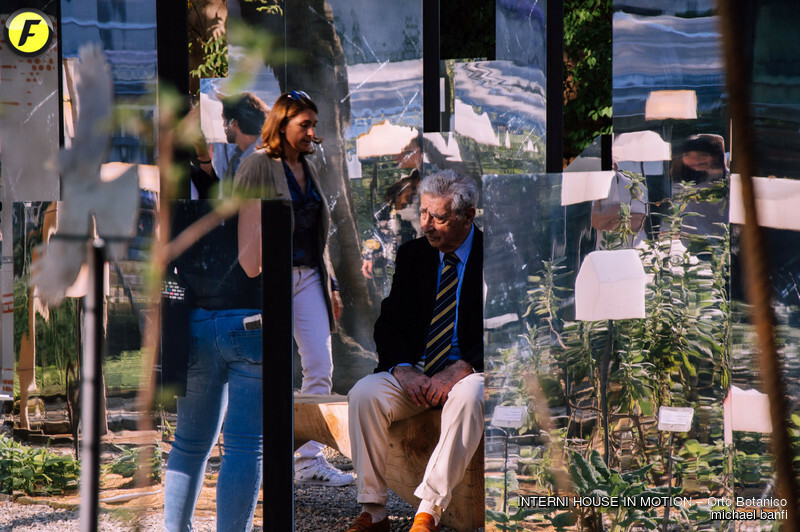 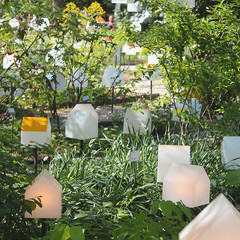 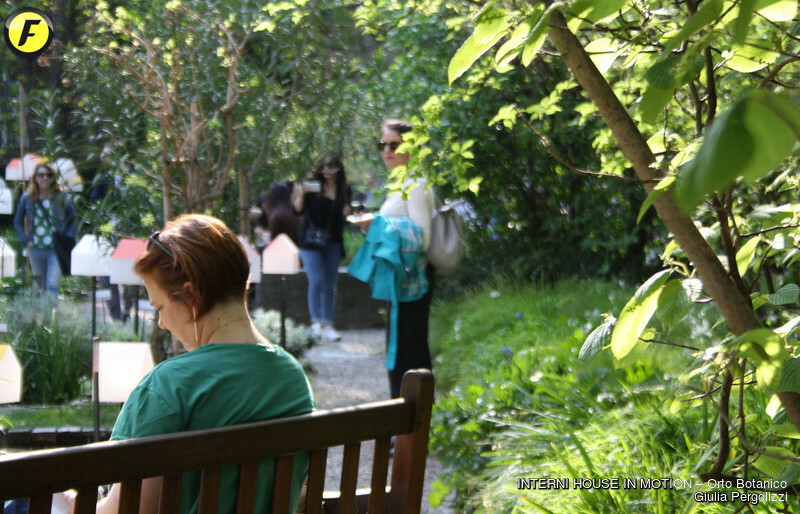 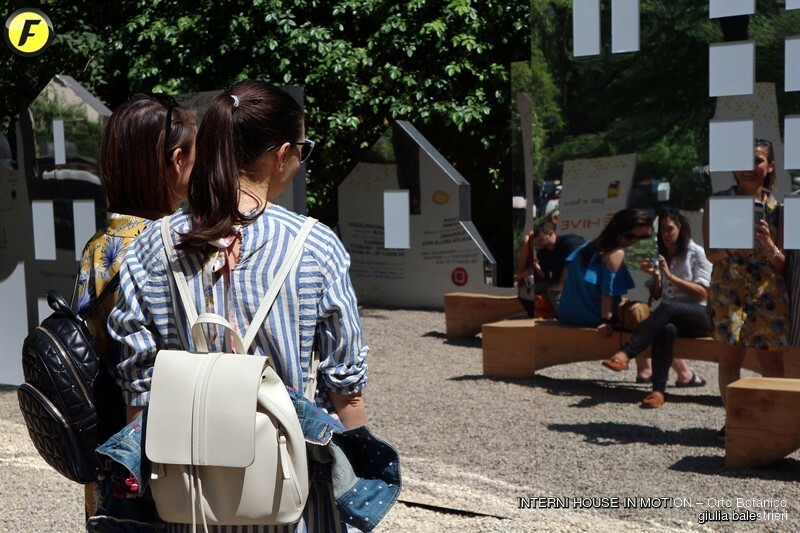 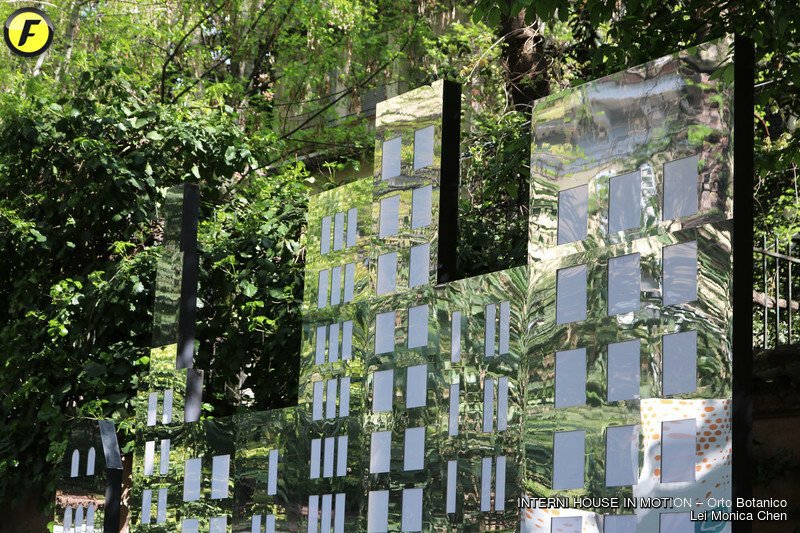 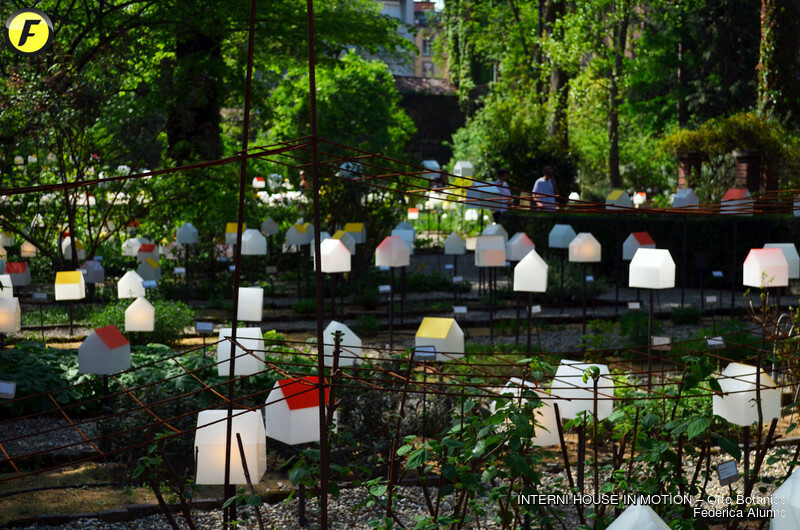 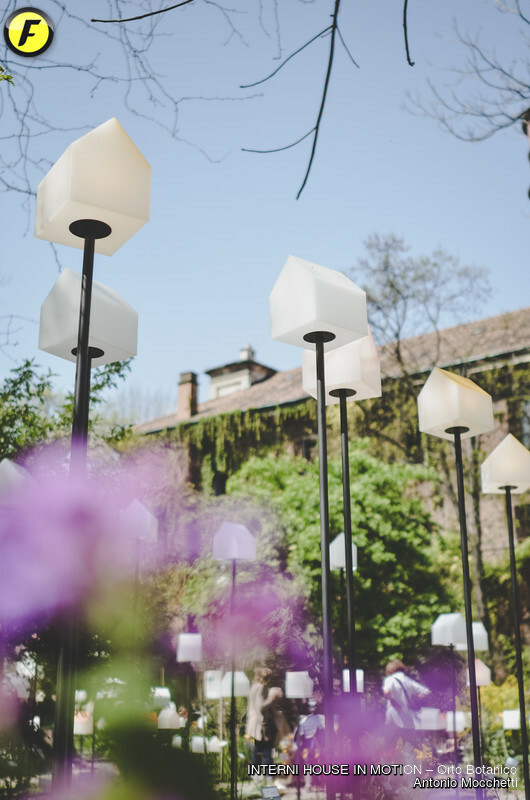 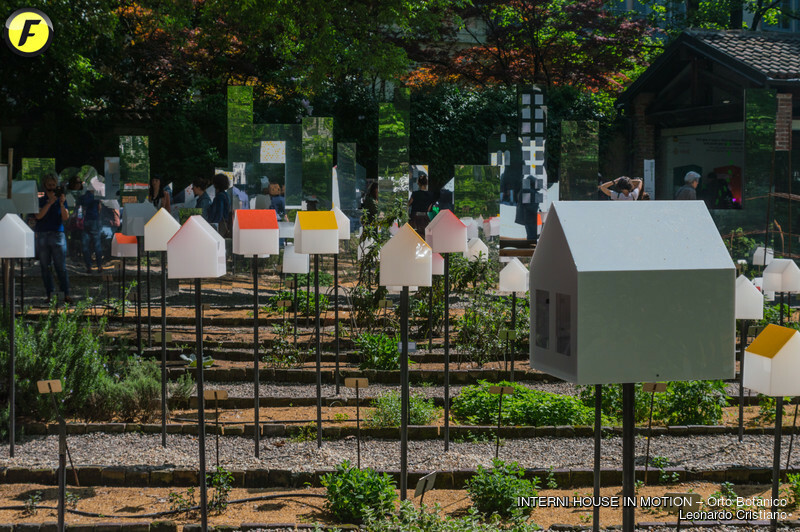 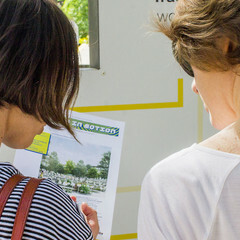 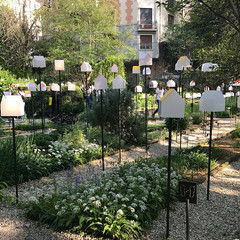 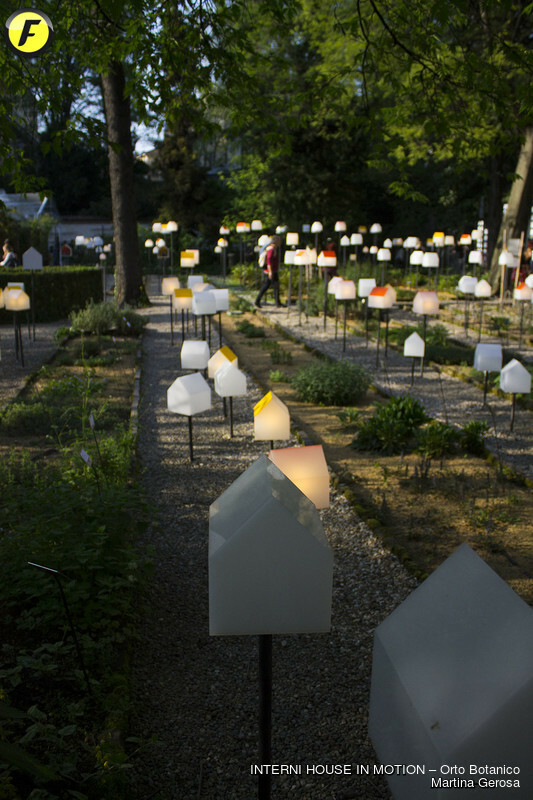 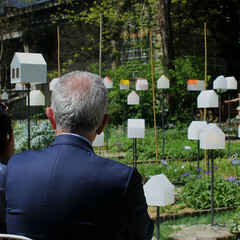 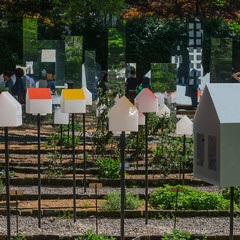 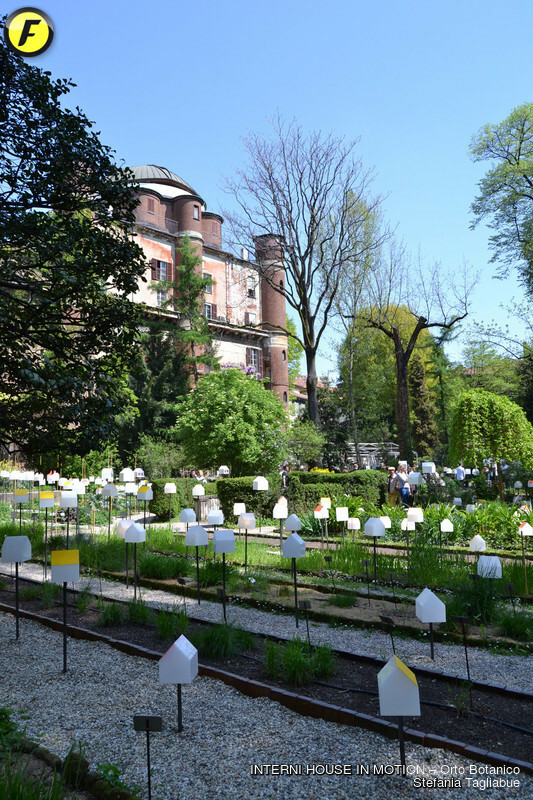 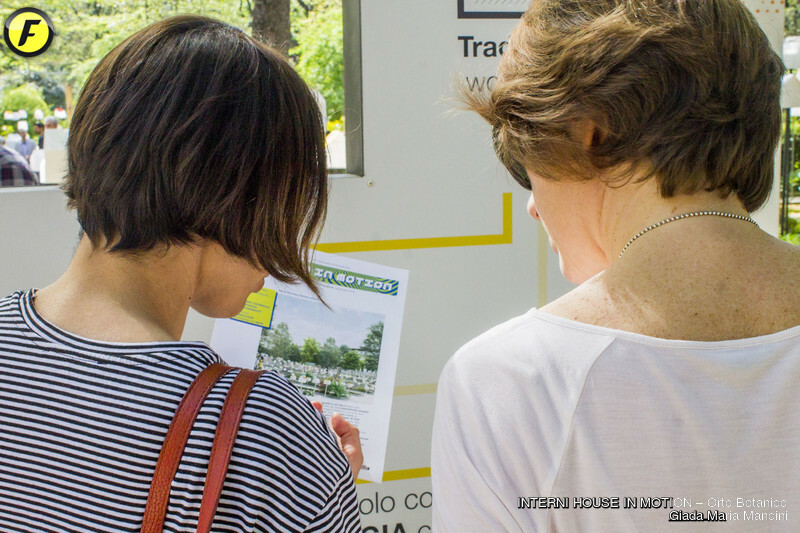 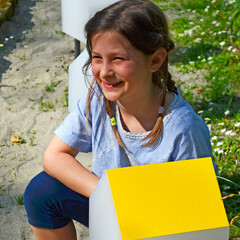 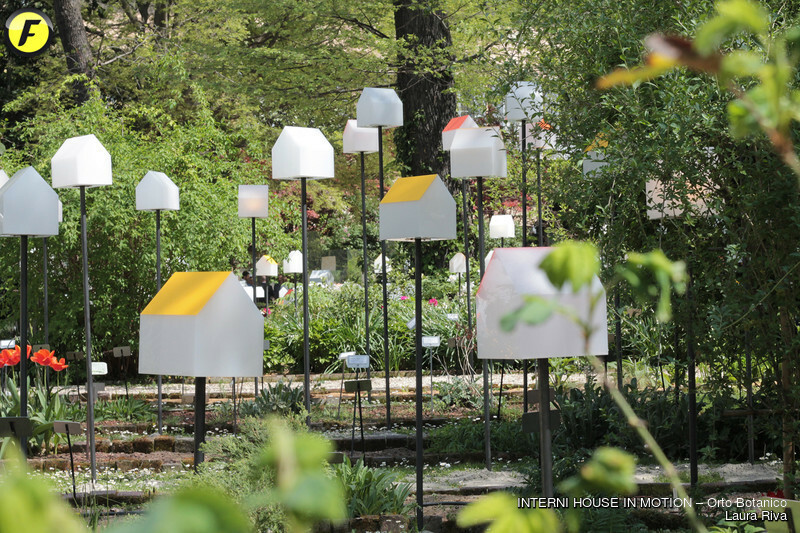 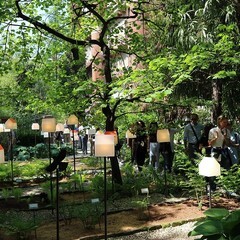 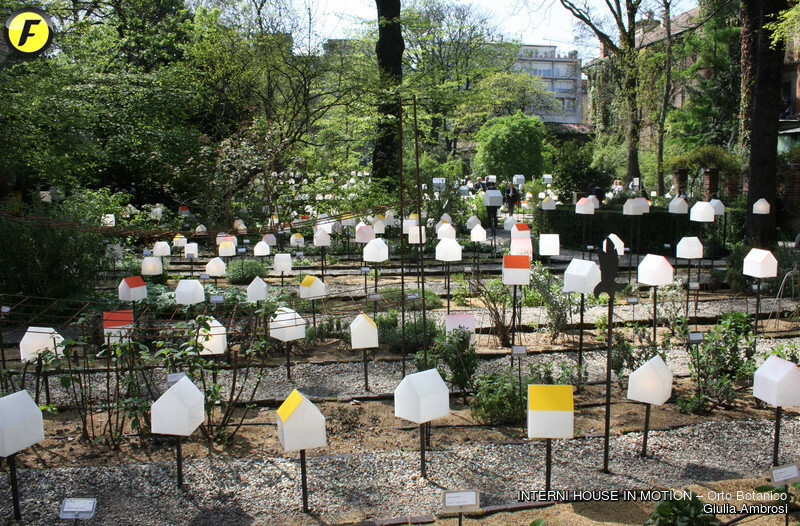 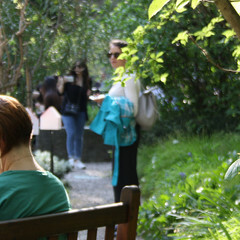 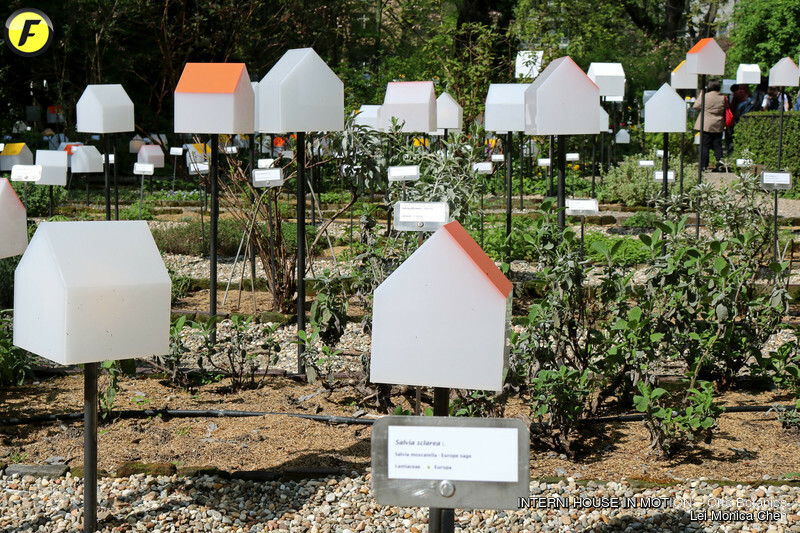 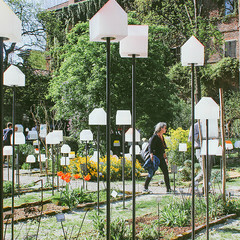 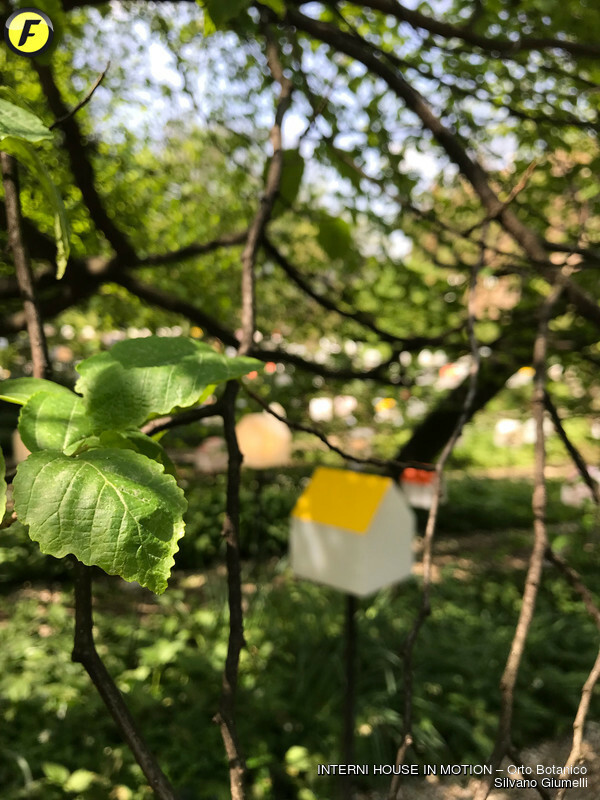 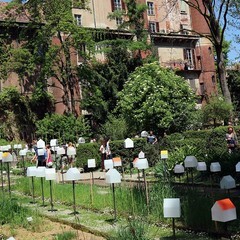 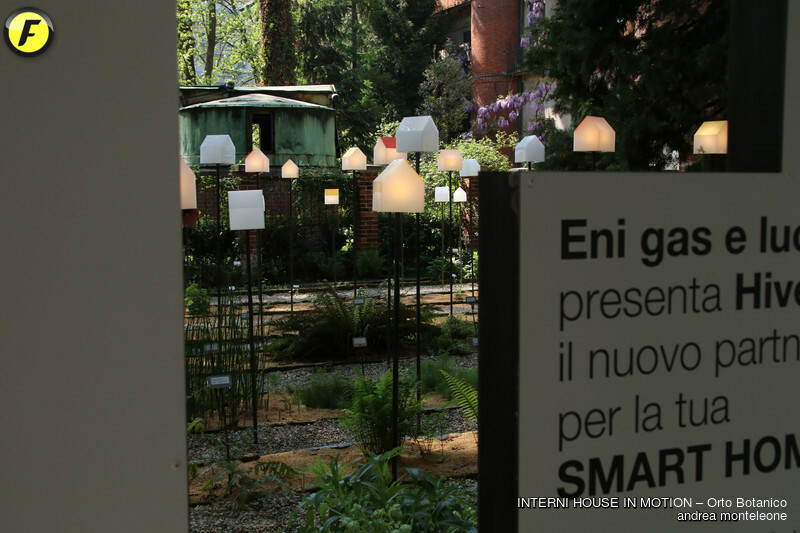 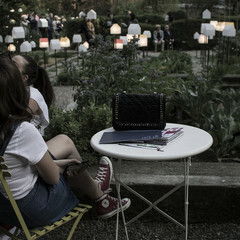 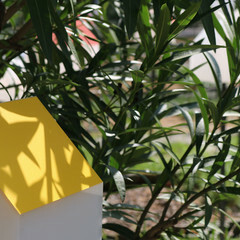 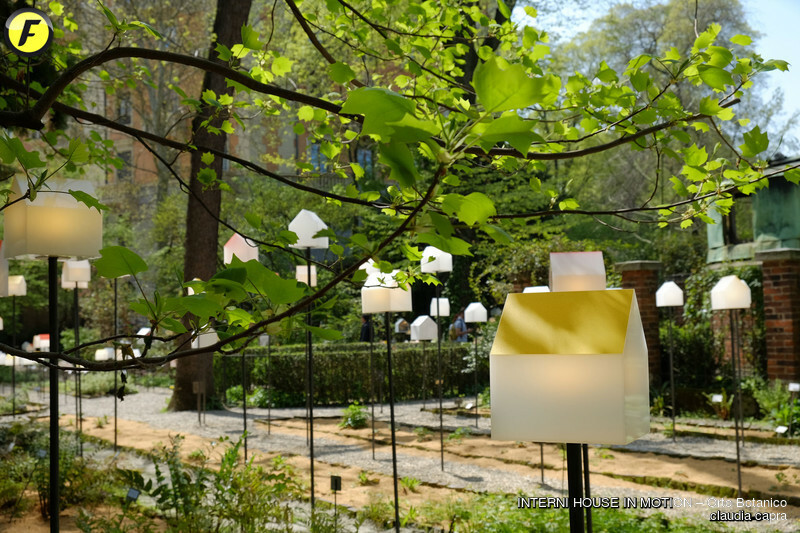 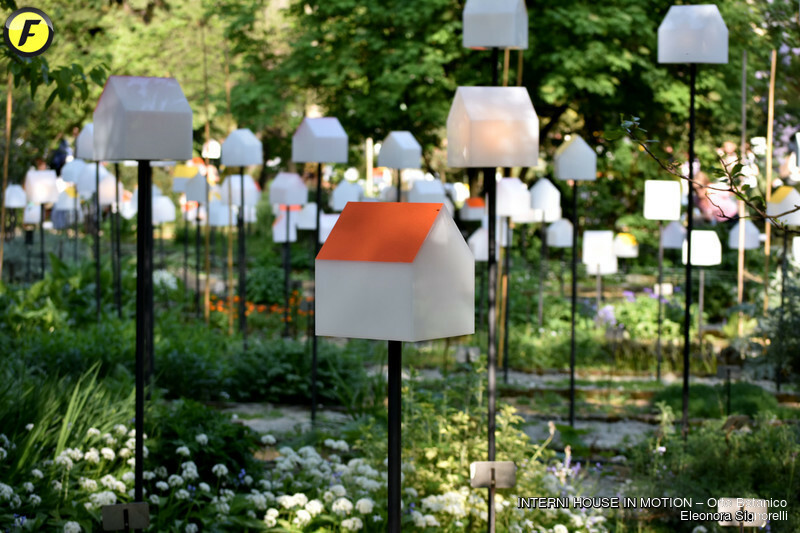 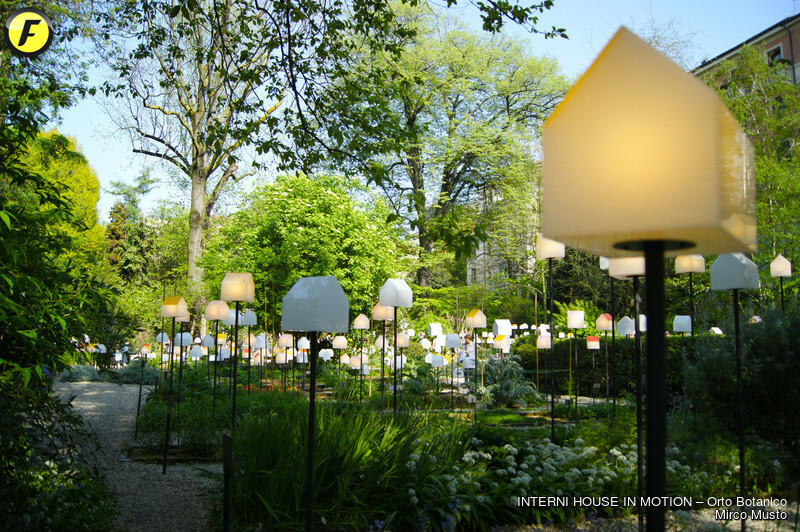 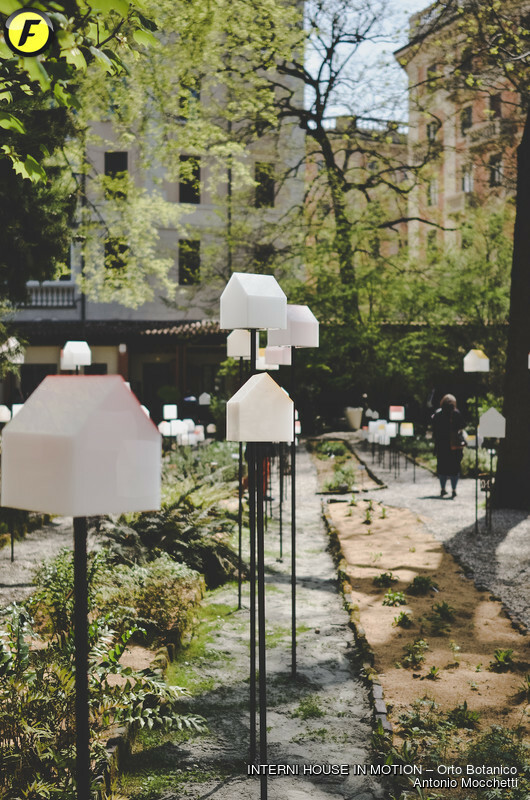 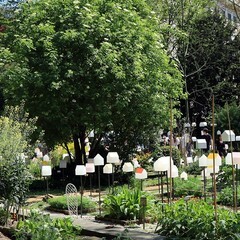 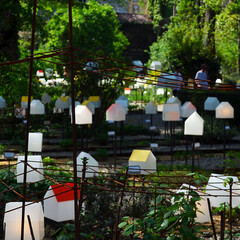 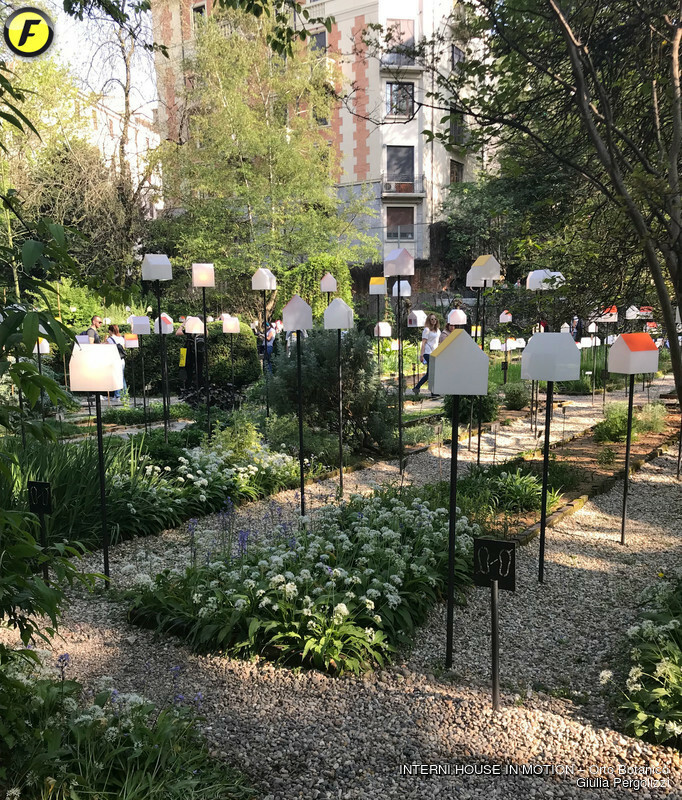 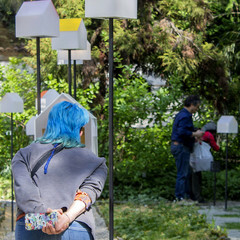 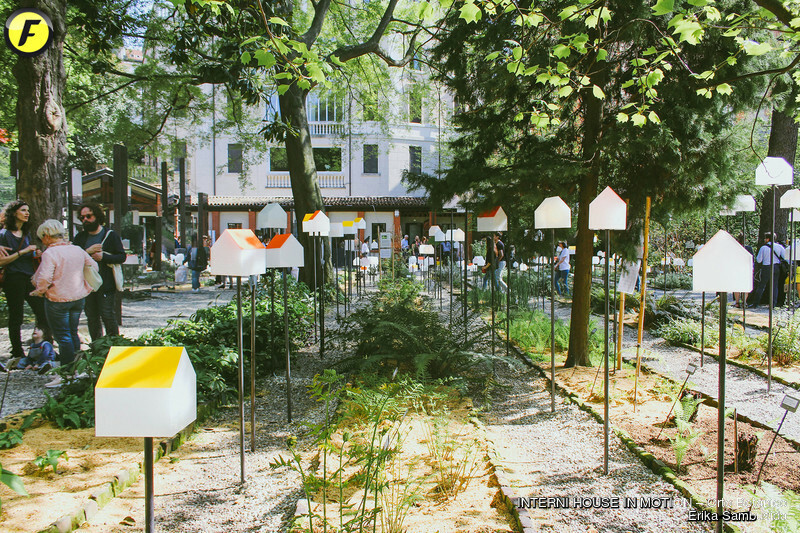 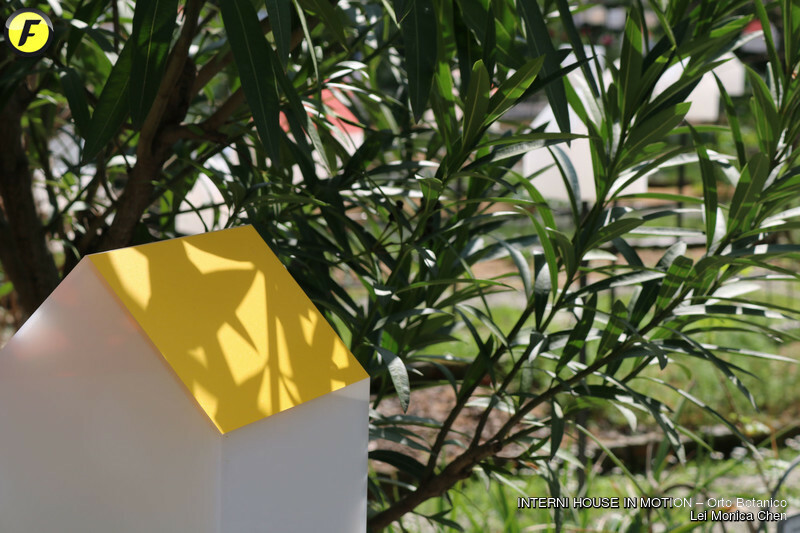 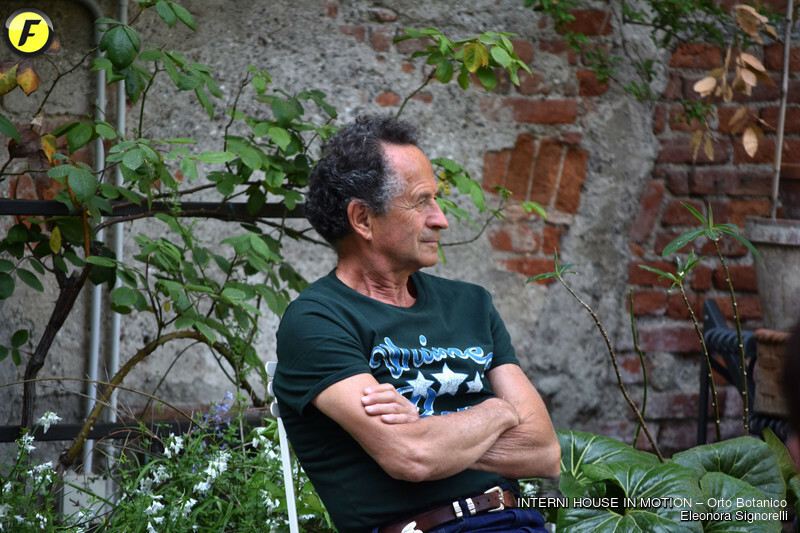 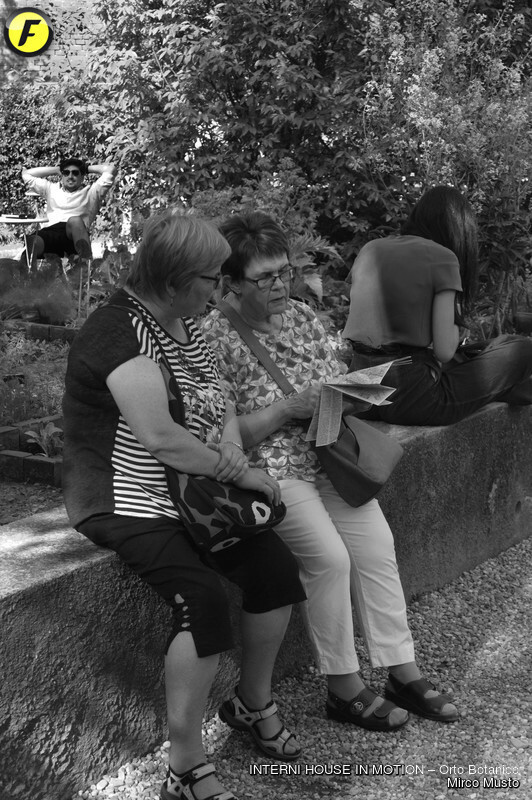 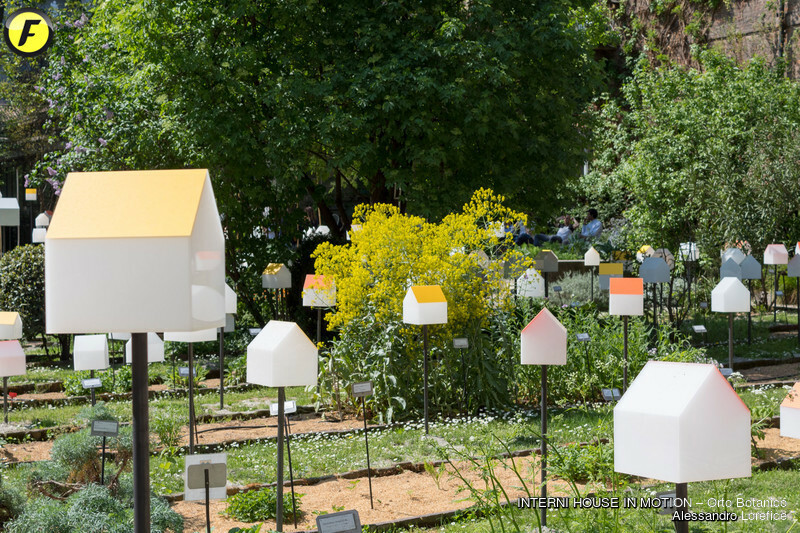 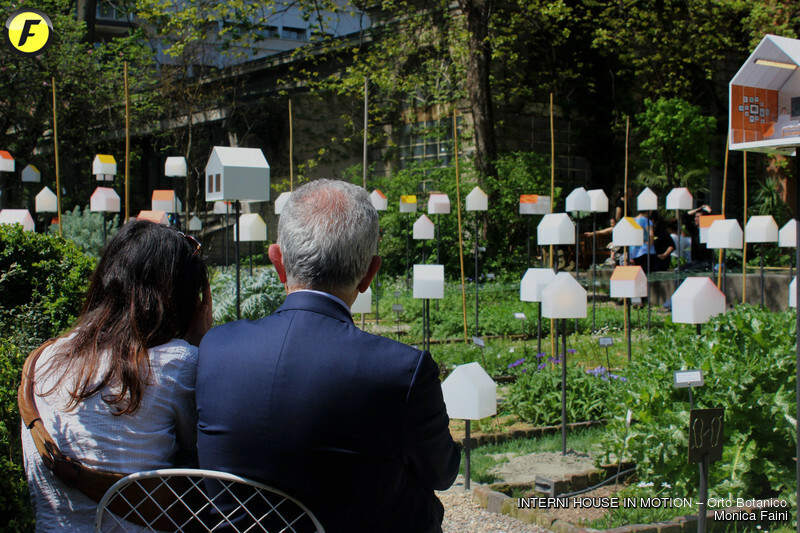 The installation created by SOS-School of Sustainability under the supervision of Mario Cucinella Architects with ENI Gas e Luce transforms the Botanical Garden into a Green City where visitors are invited to enter through an interactive, poetic urban smart grid. 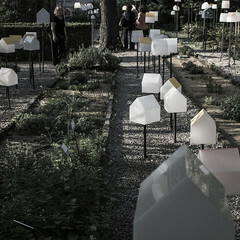 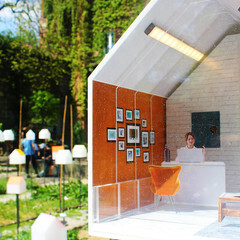 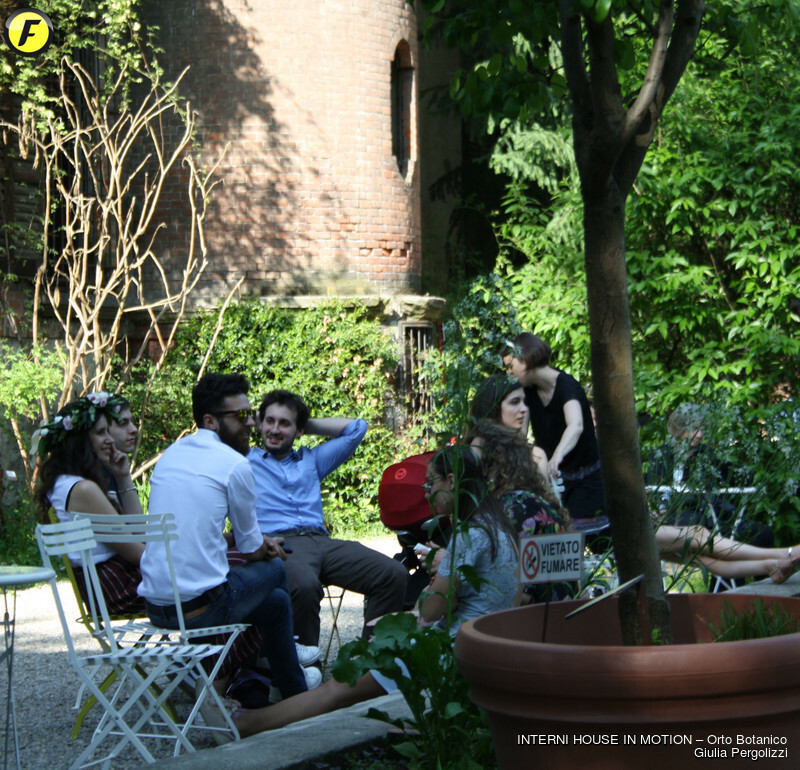 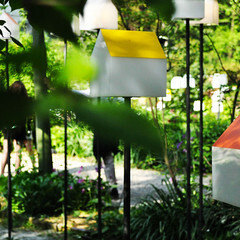 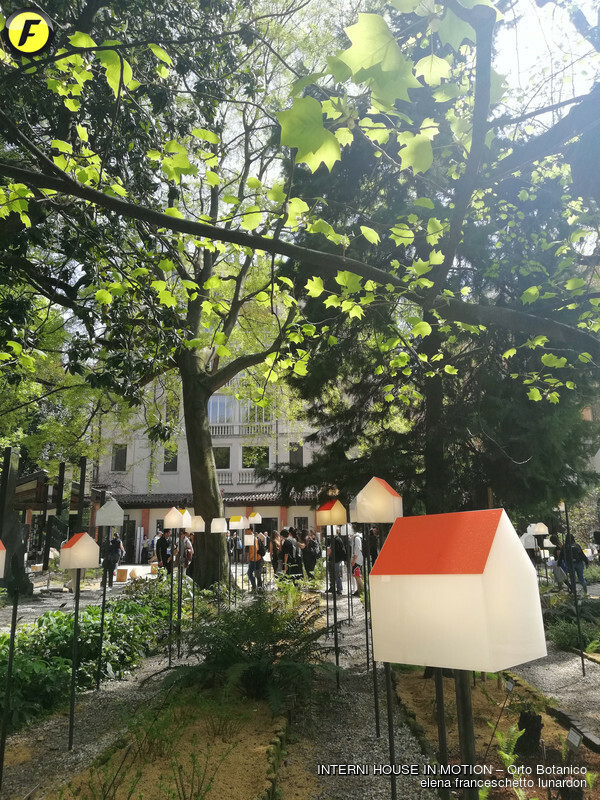 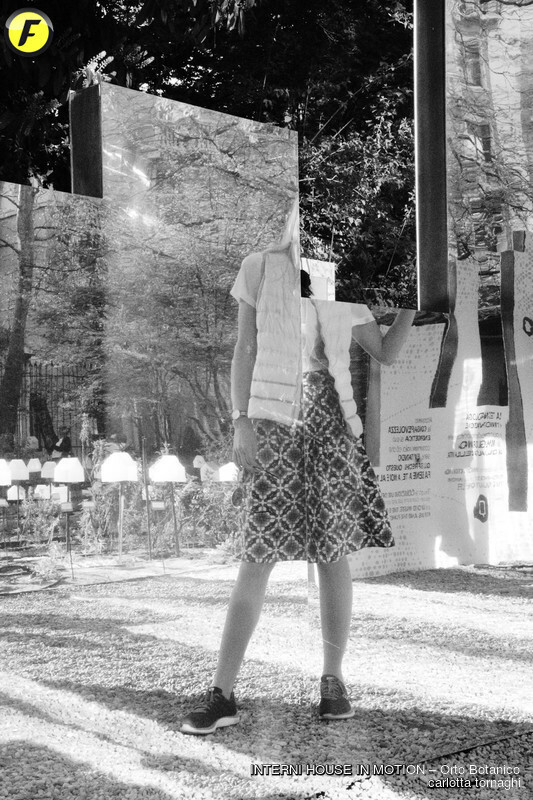 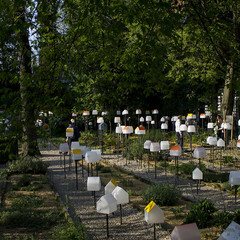 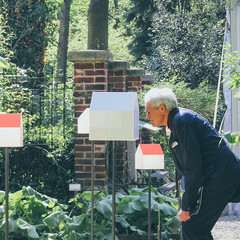 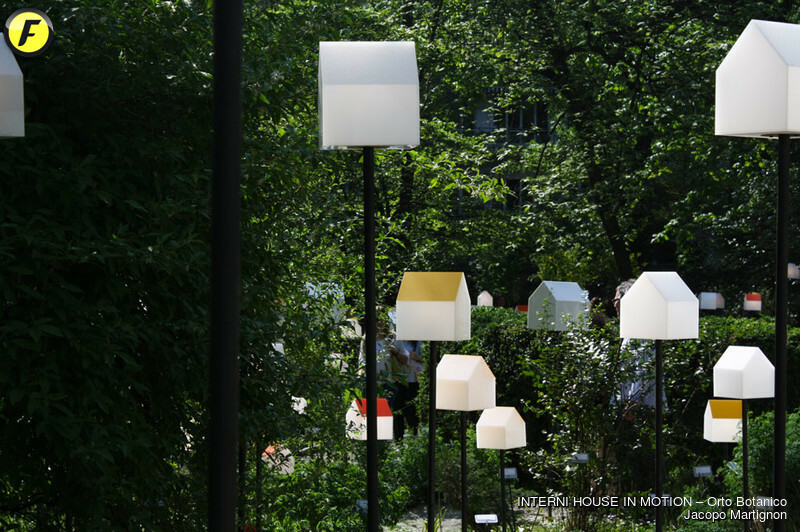 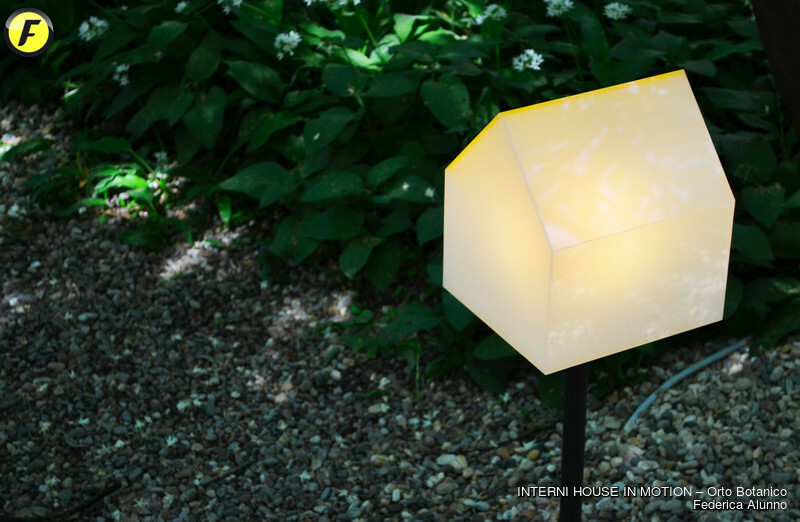 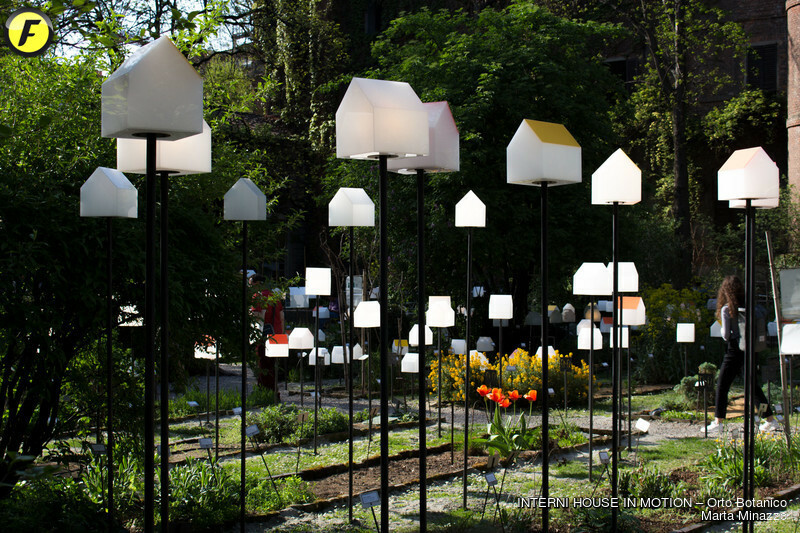 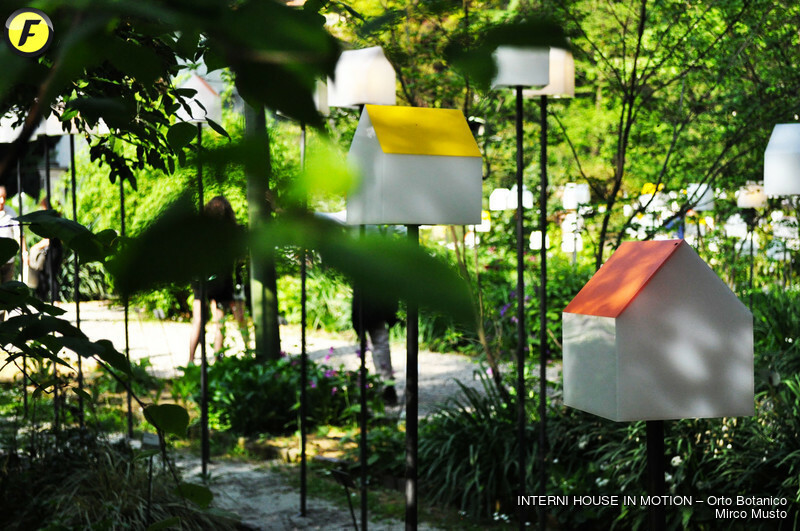 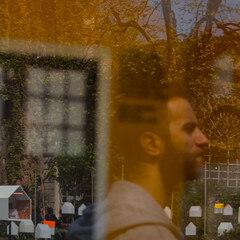 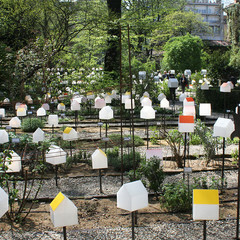 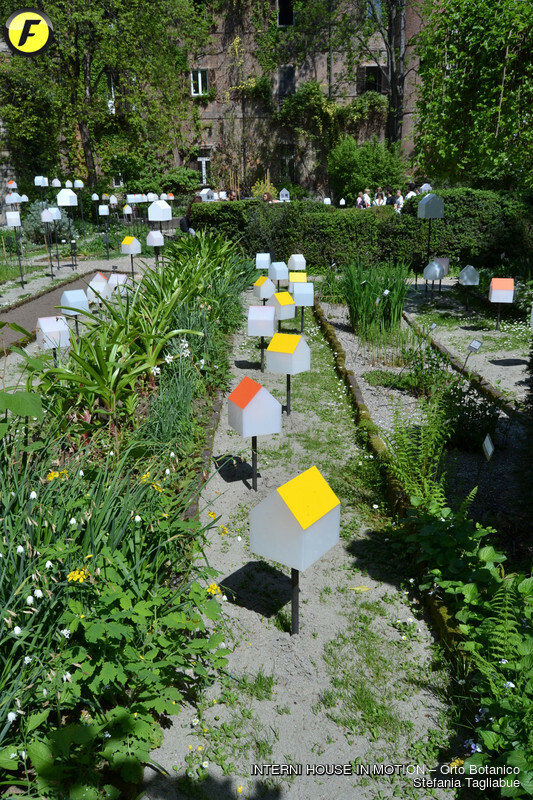 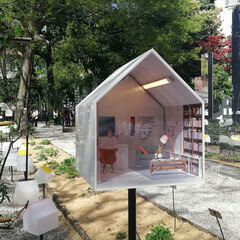 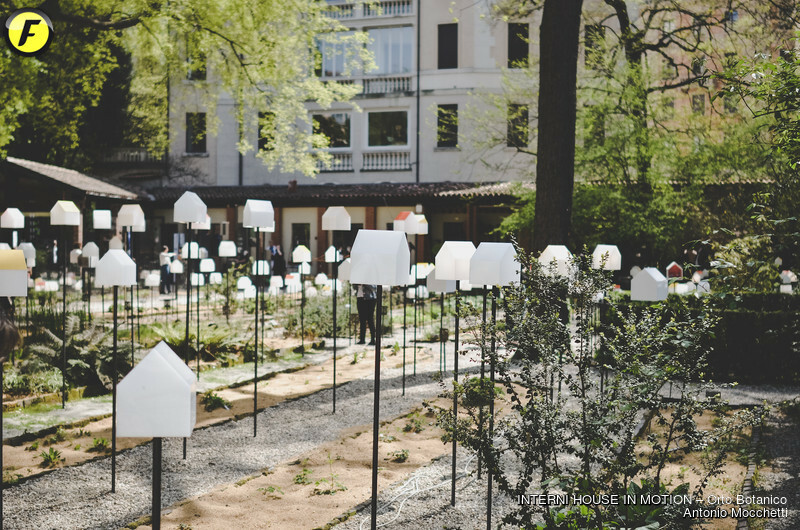 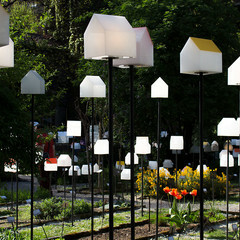 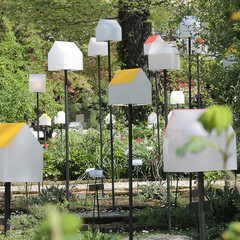 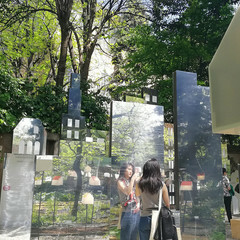 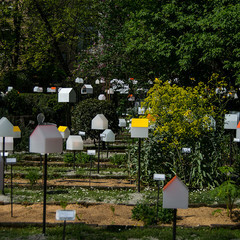 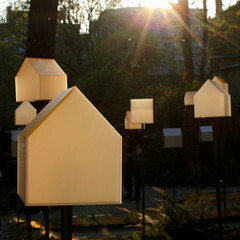 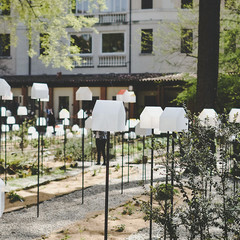 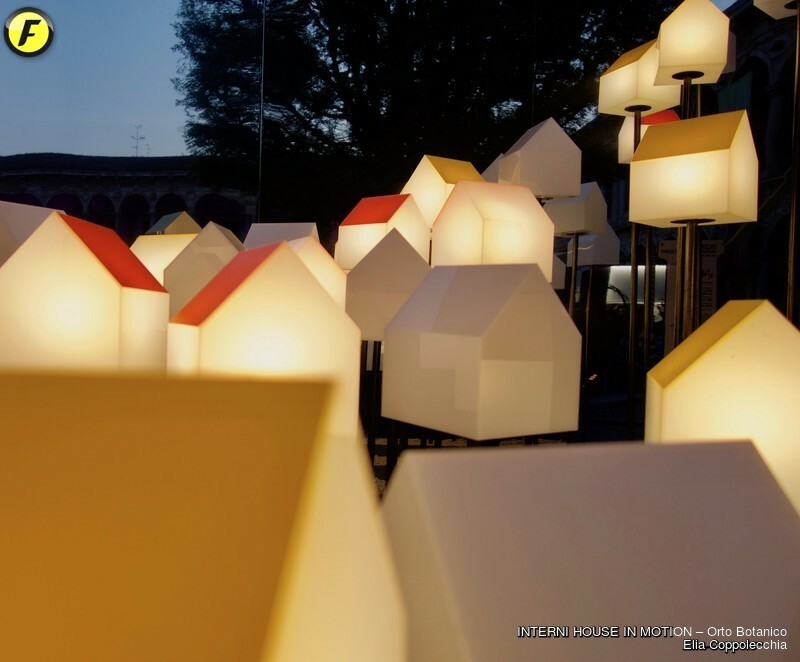 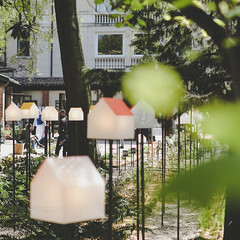 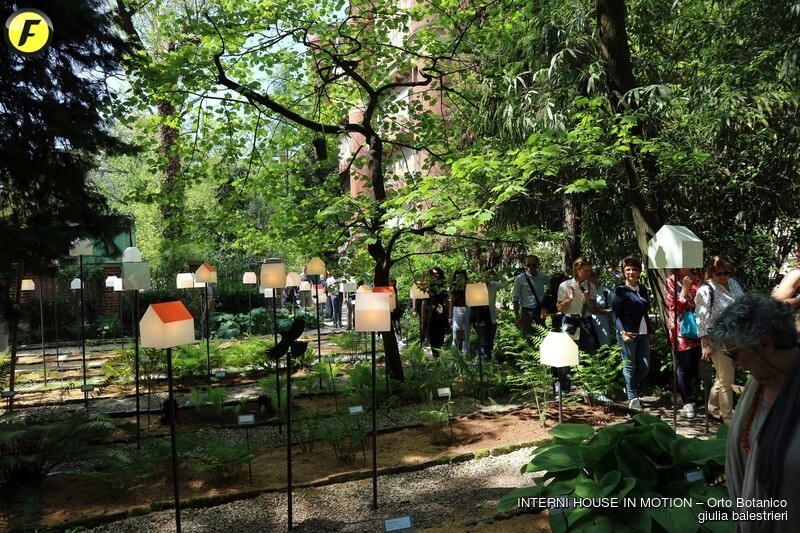 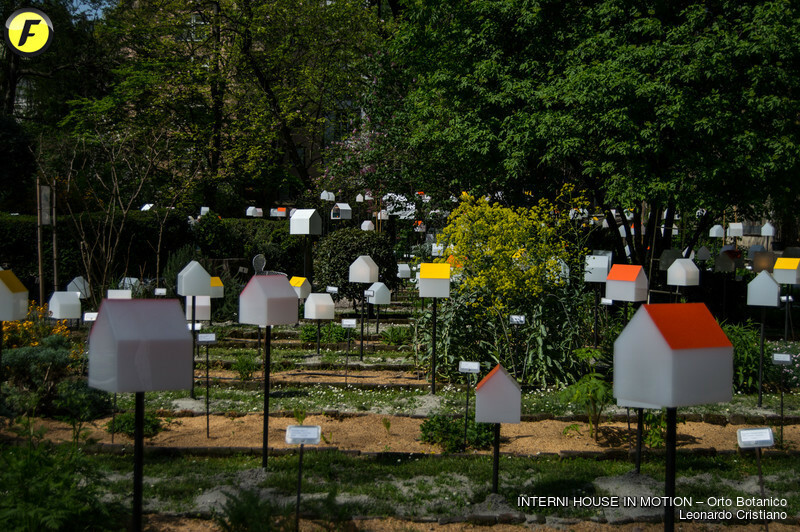 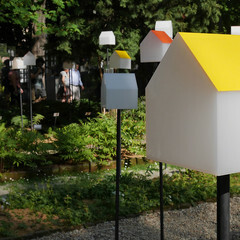 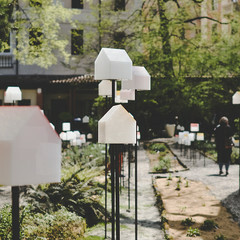 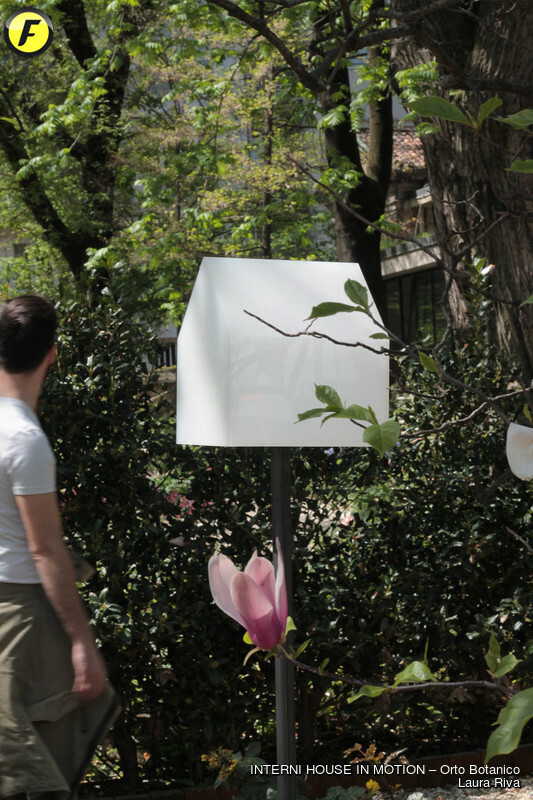 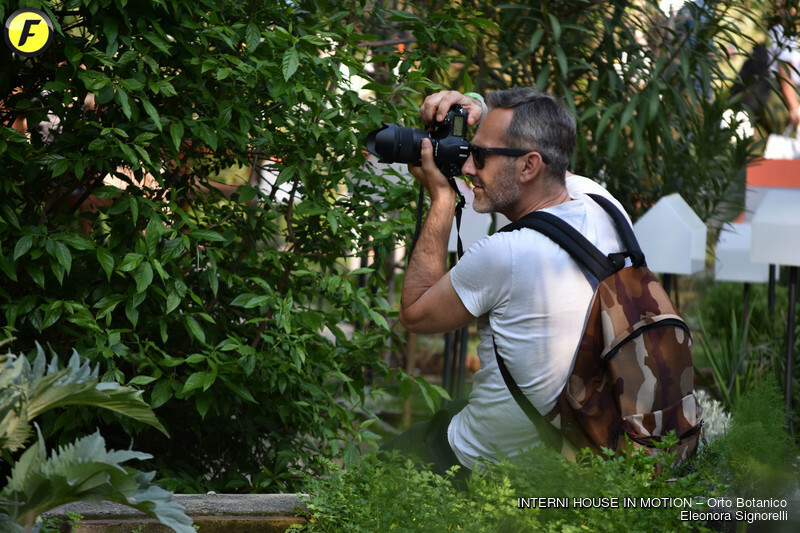 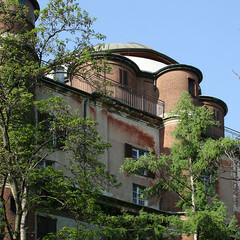 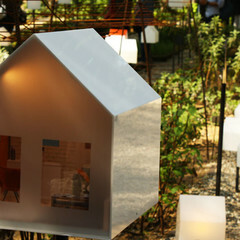 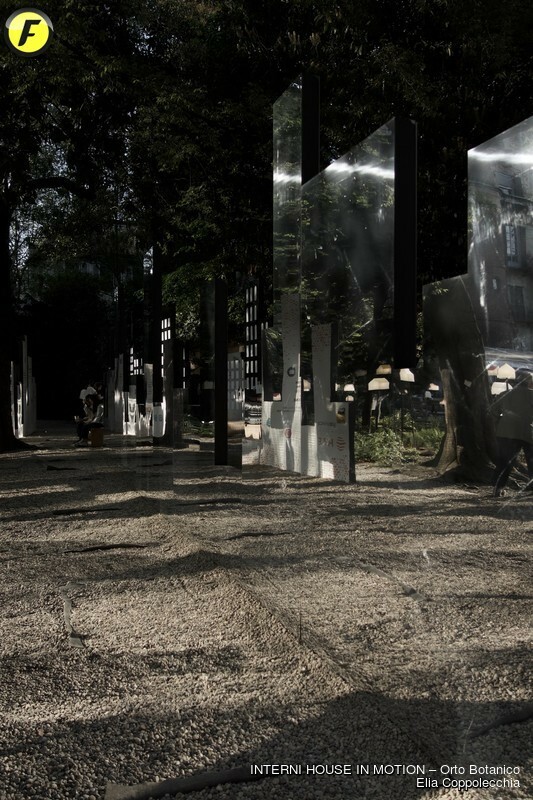 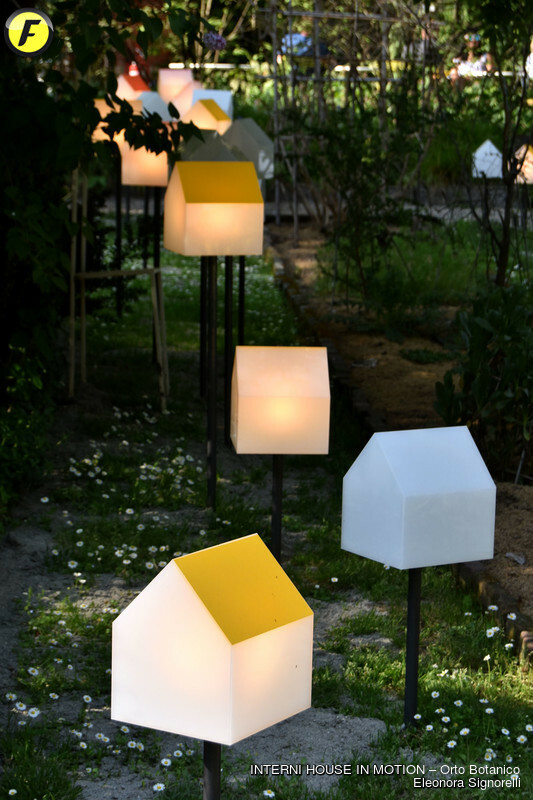 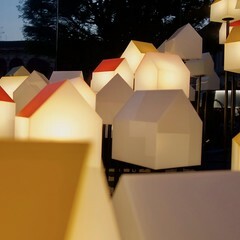 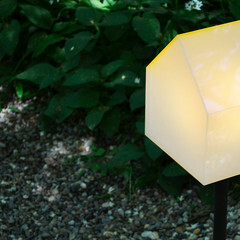 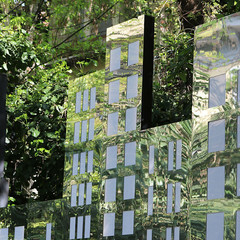 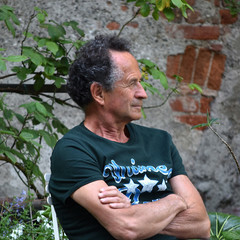 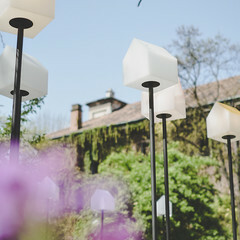 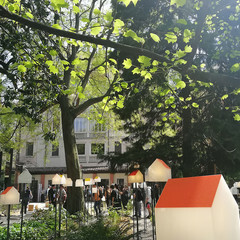 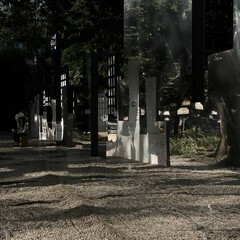 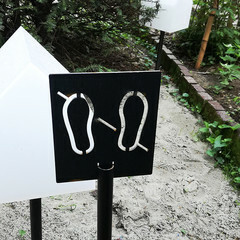 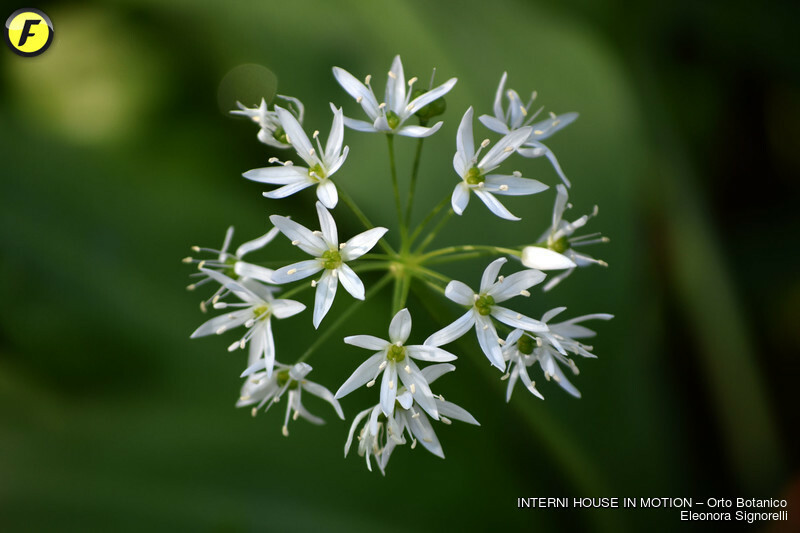 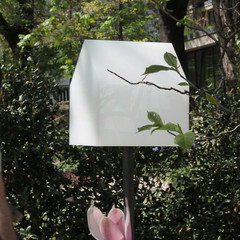 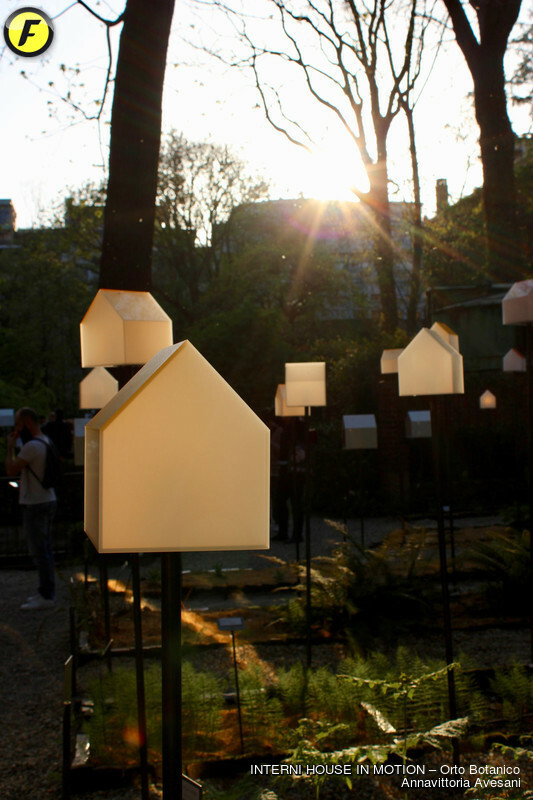 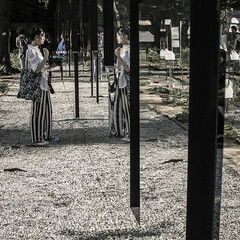 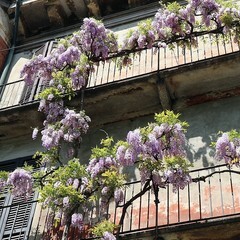 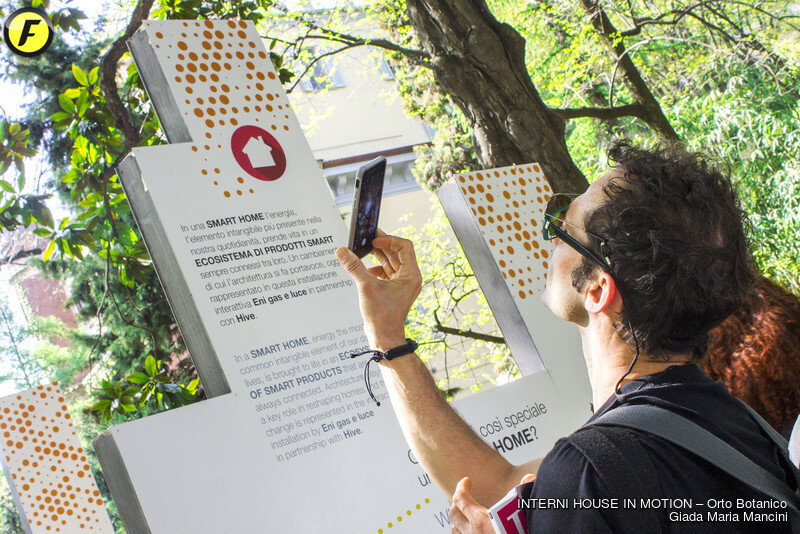 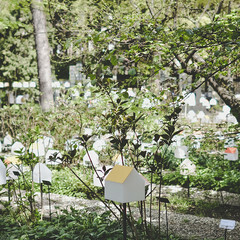 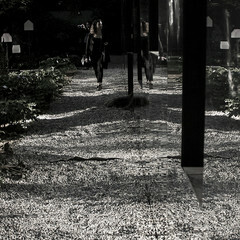 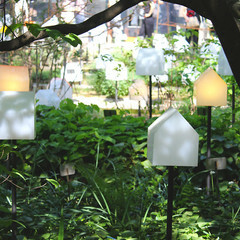 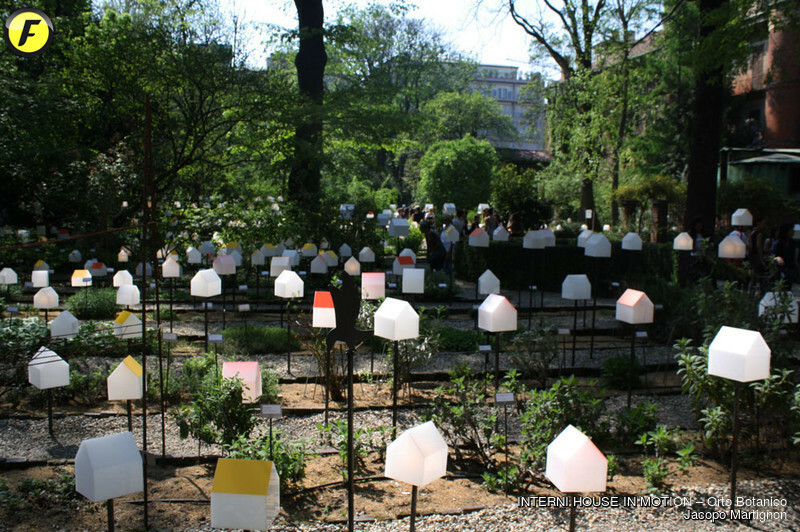 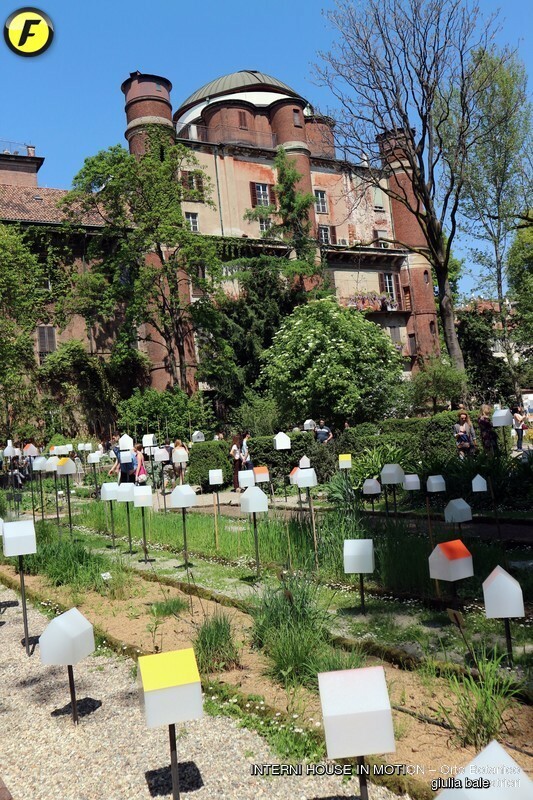 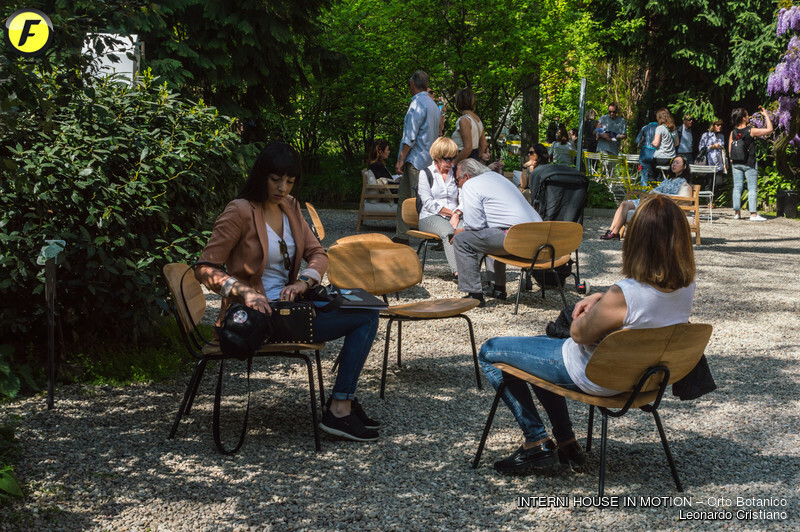 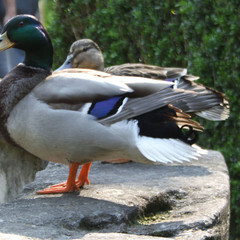 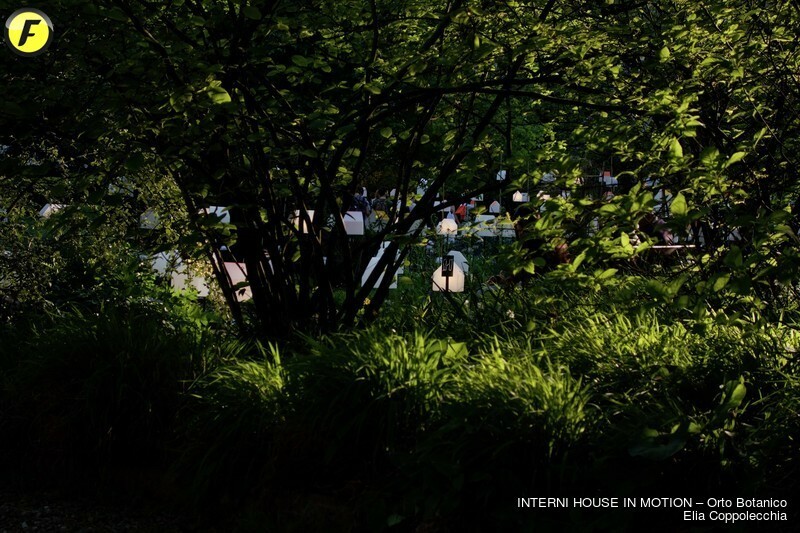 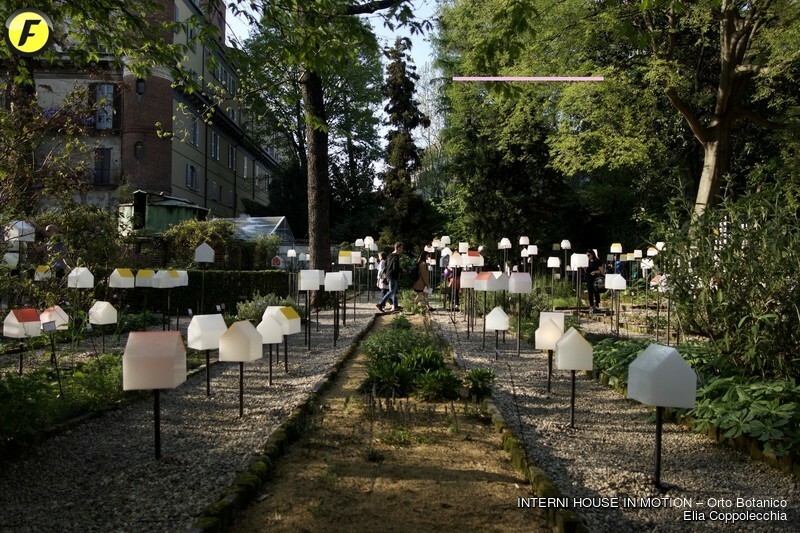 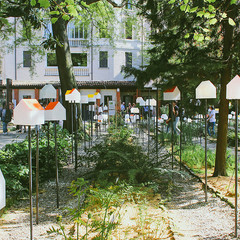 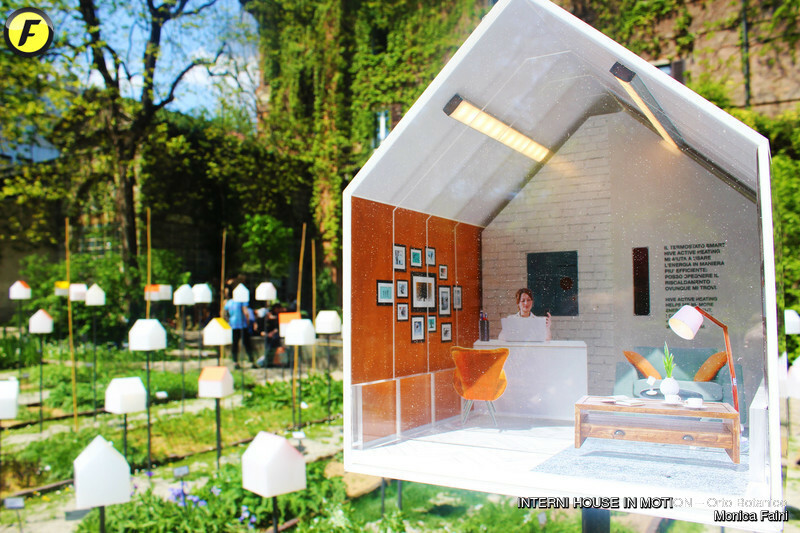 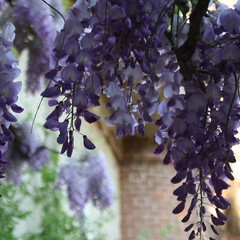 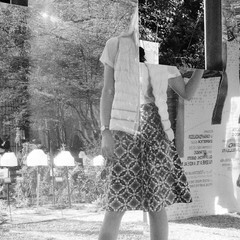 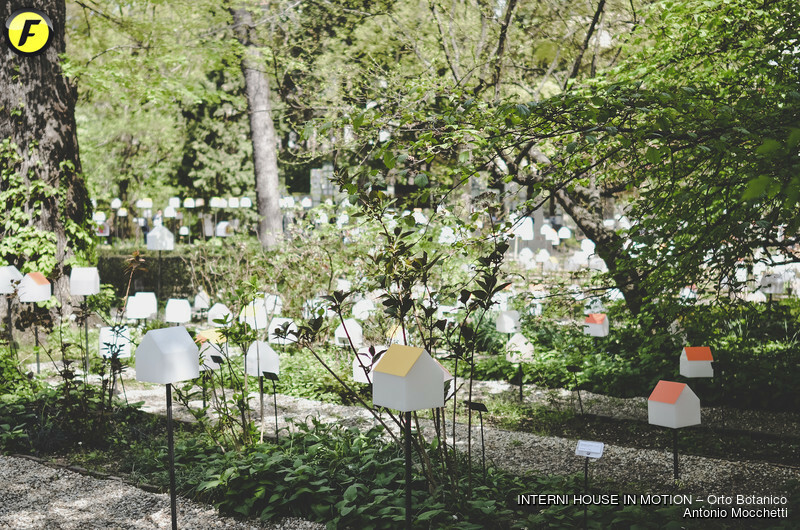 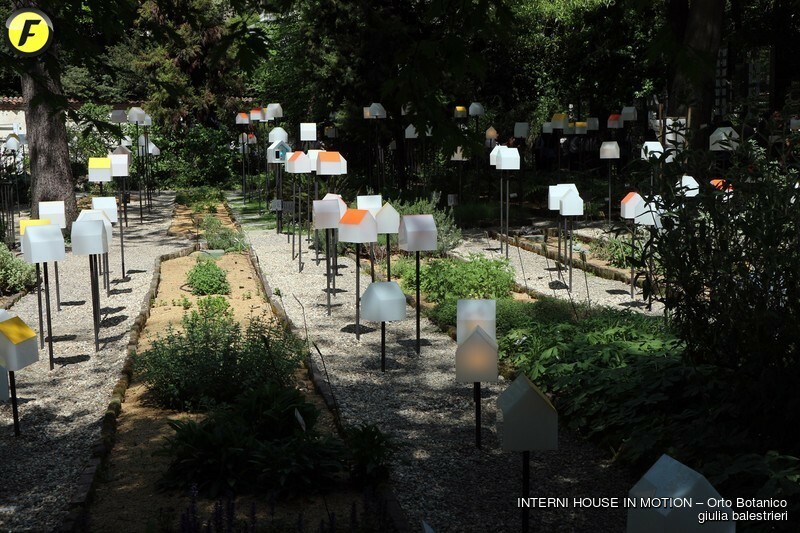 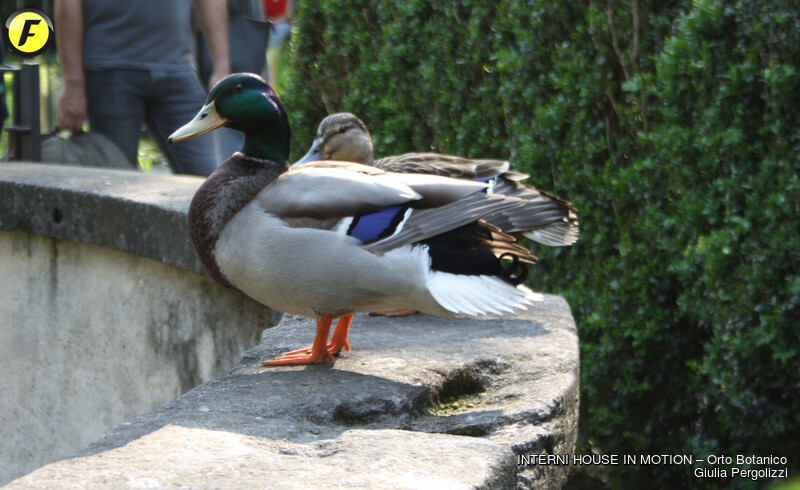 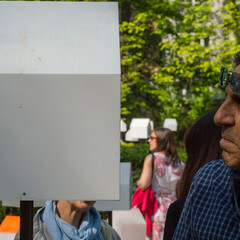 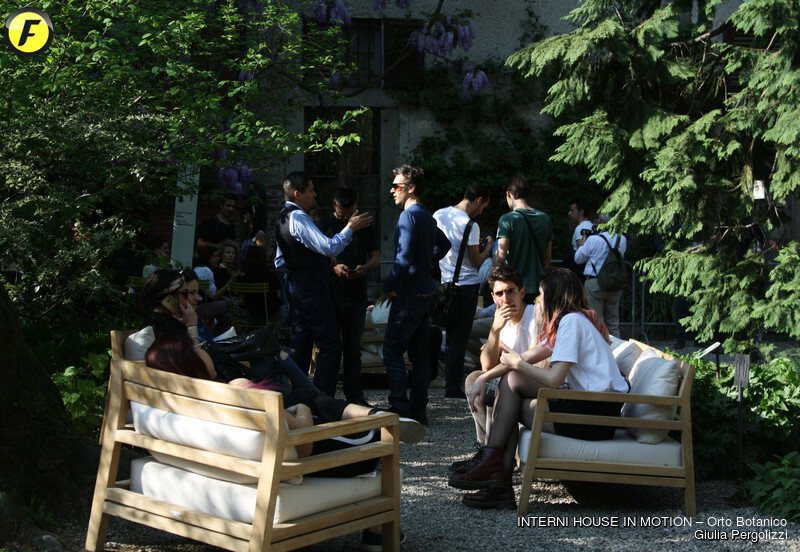 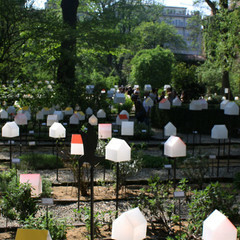 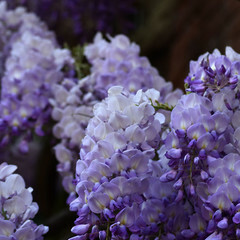 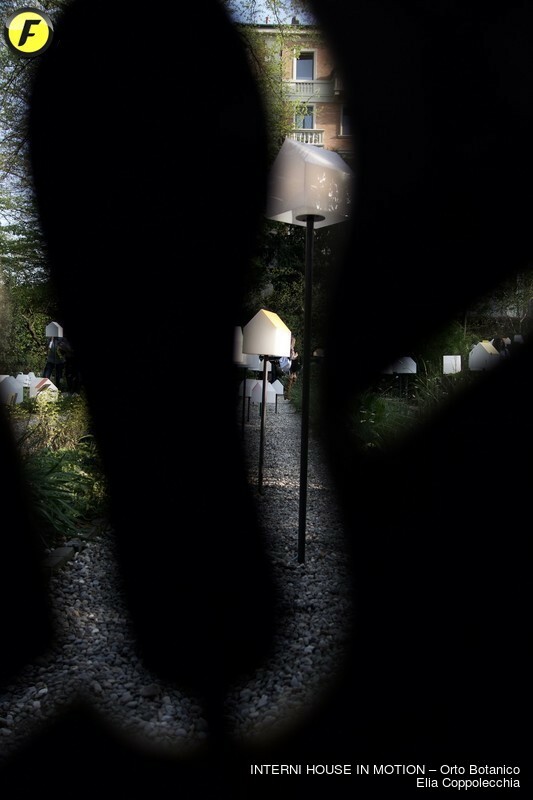 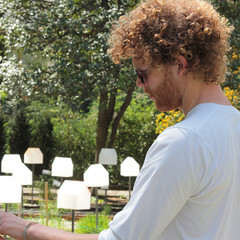 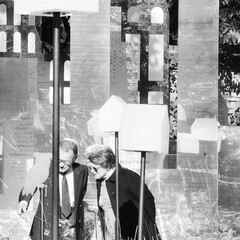 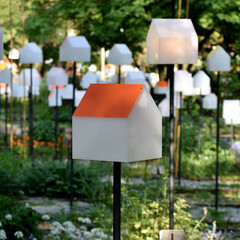 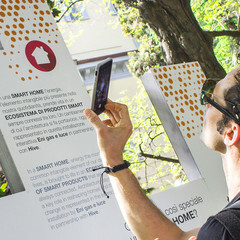 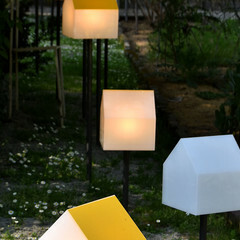 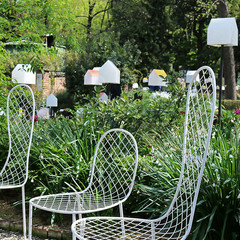 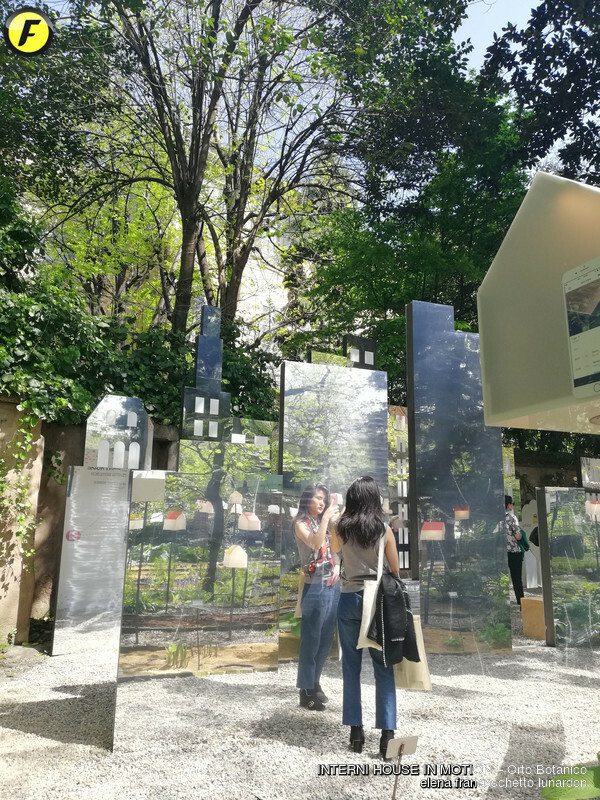 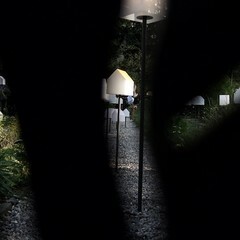 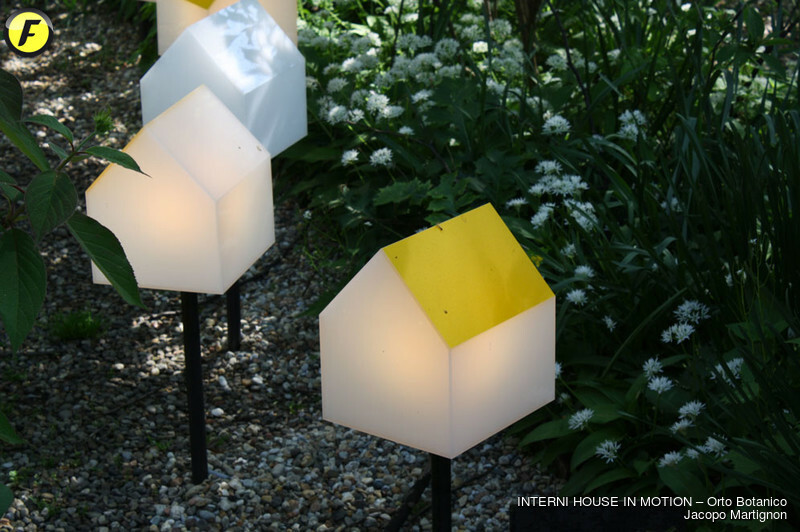 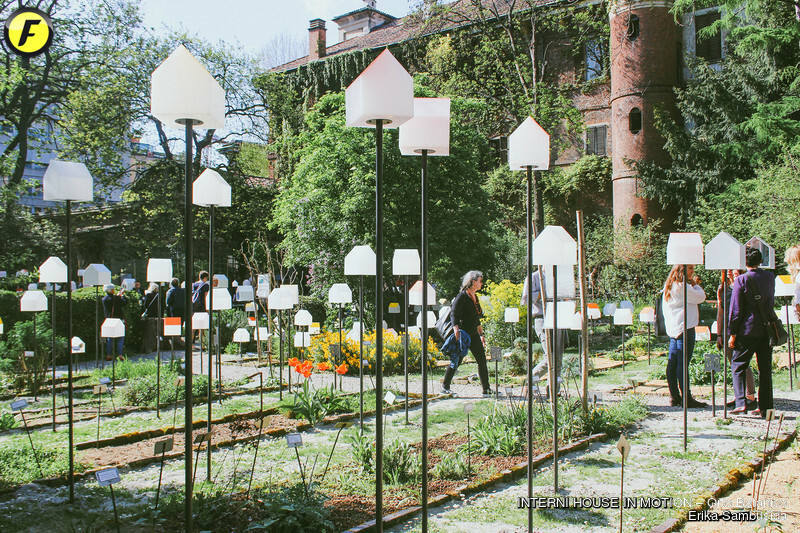 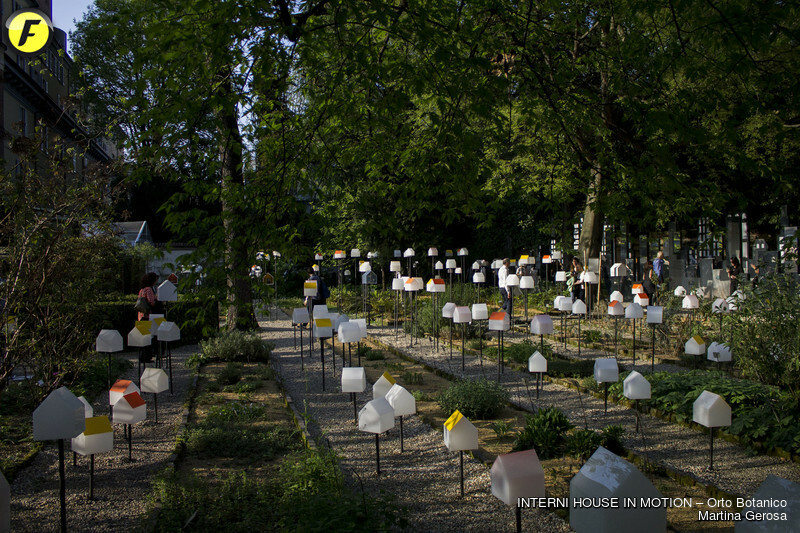 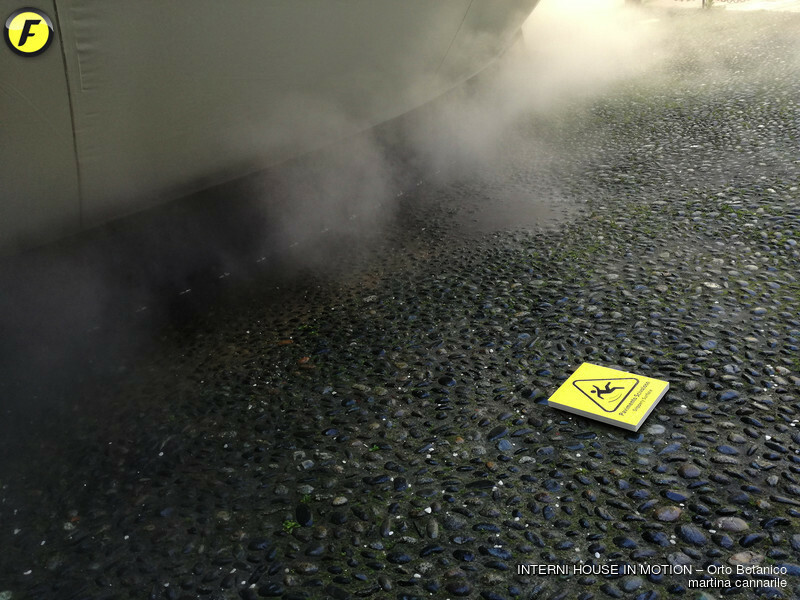 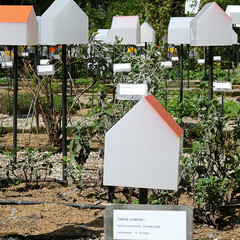 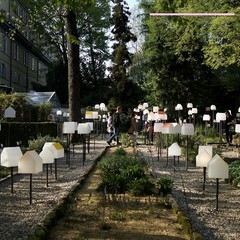 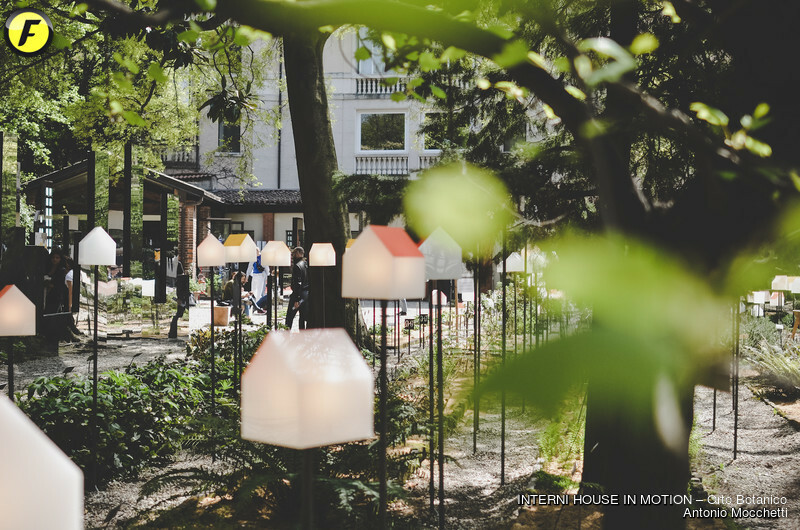 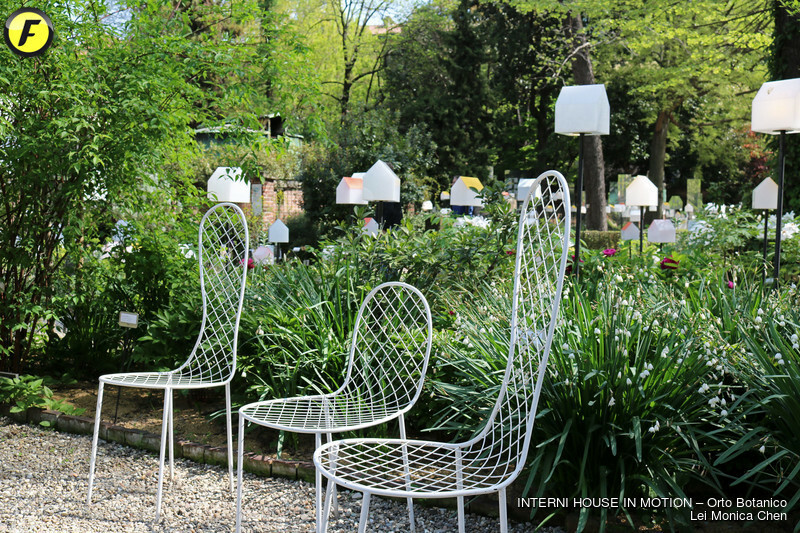 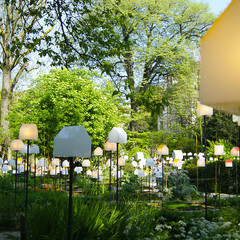 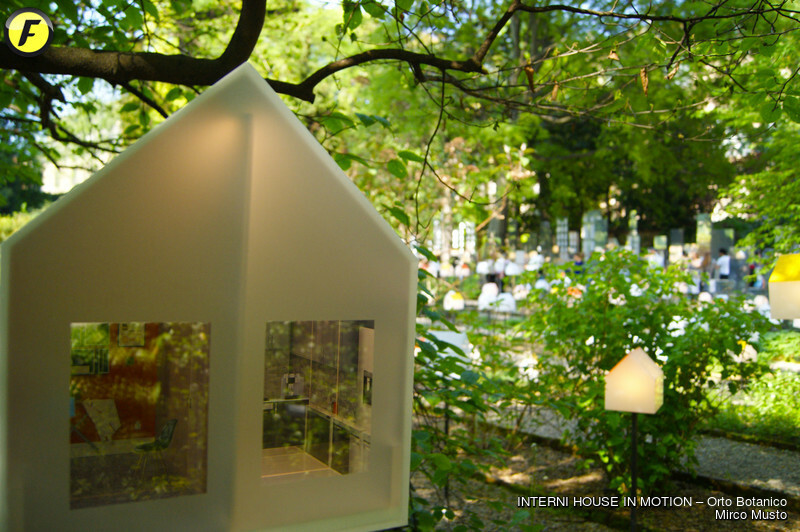 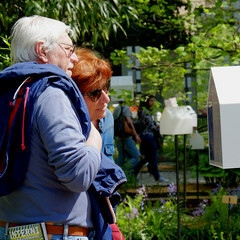 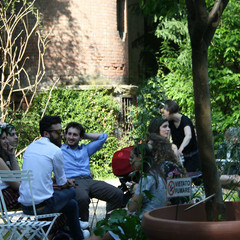 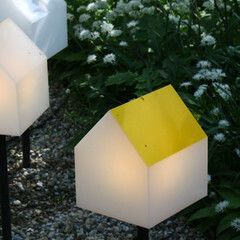 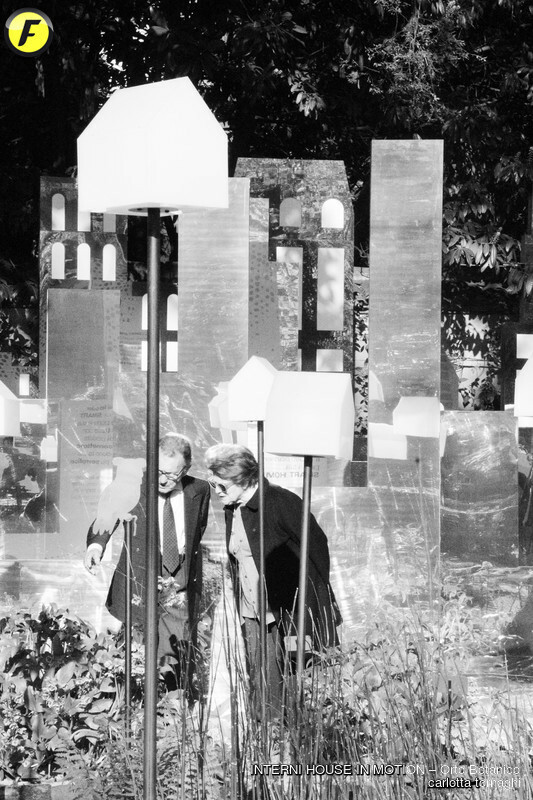 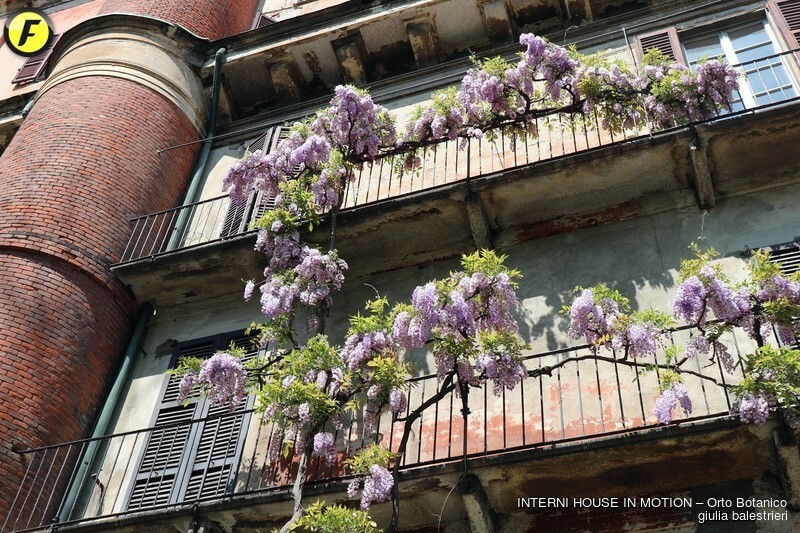 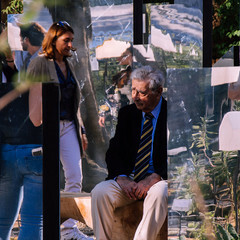 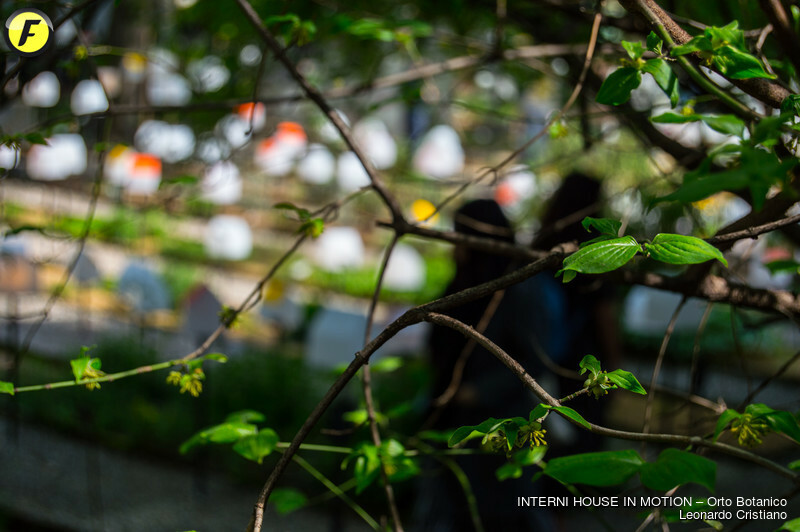 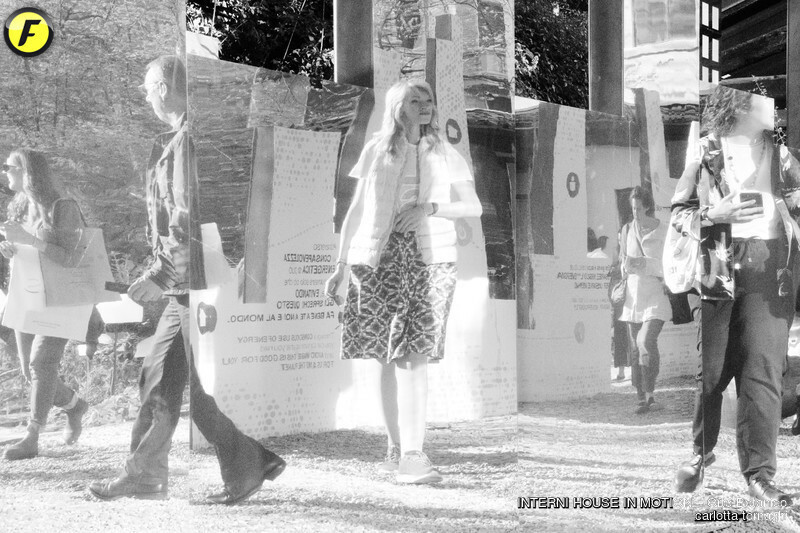 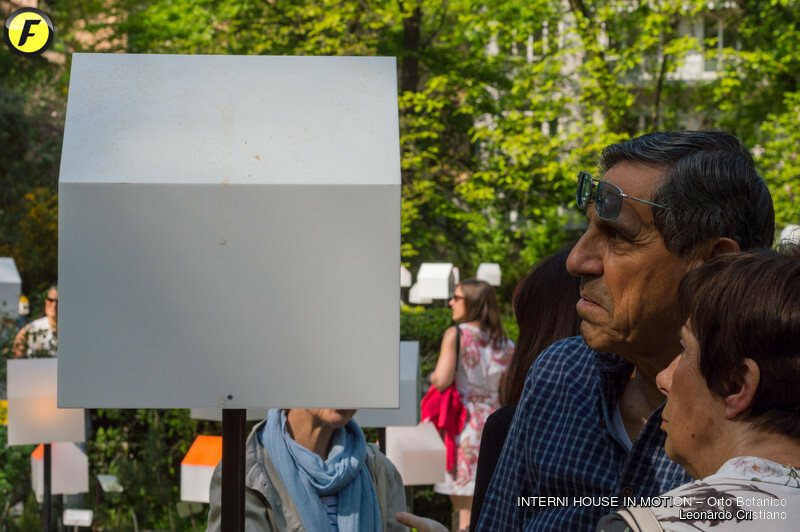 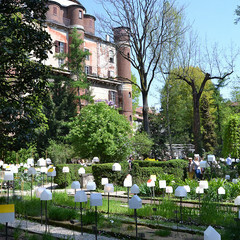 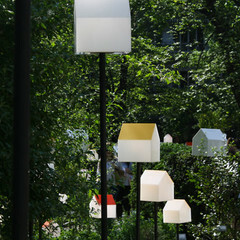 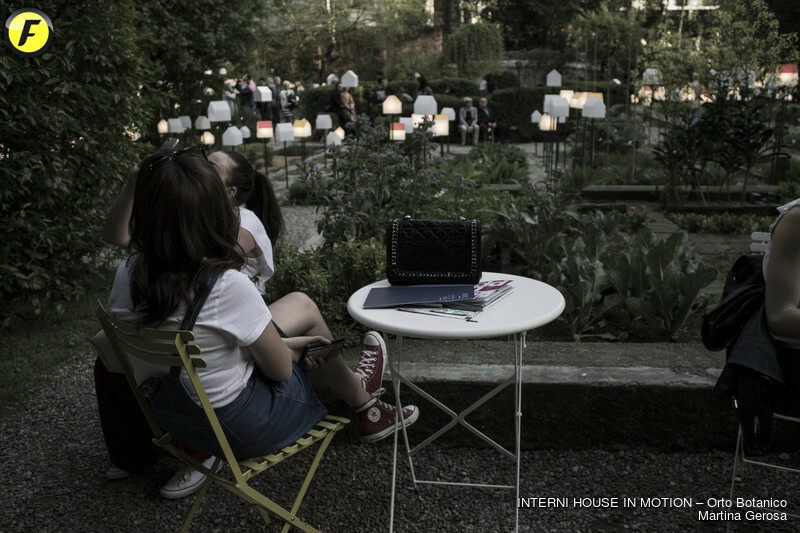 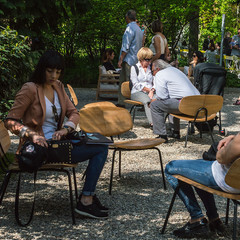 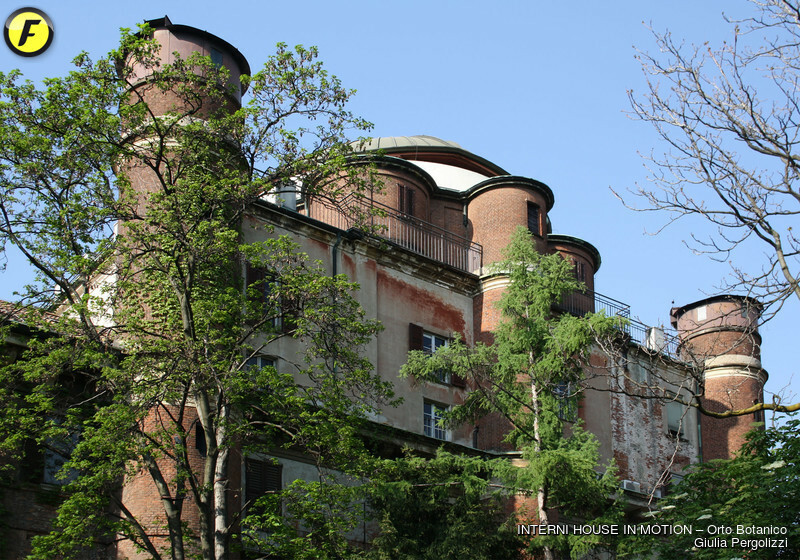 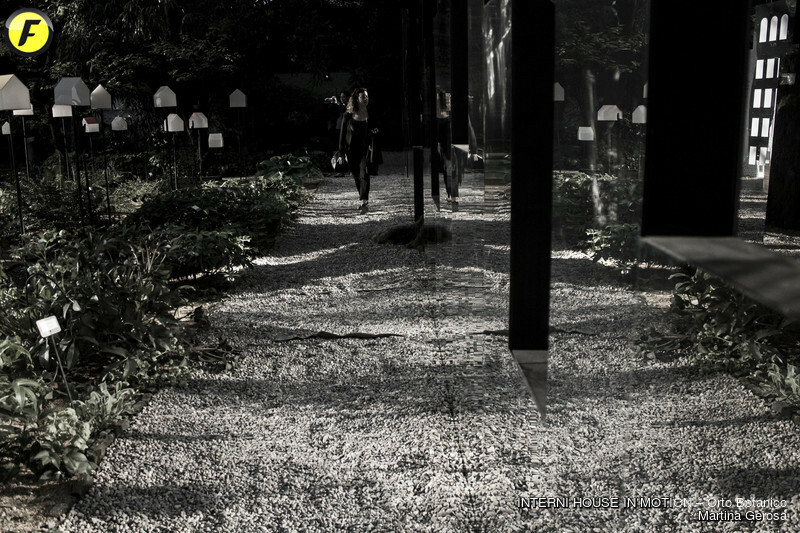 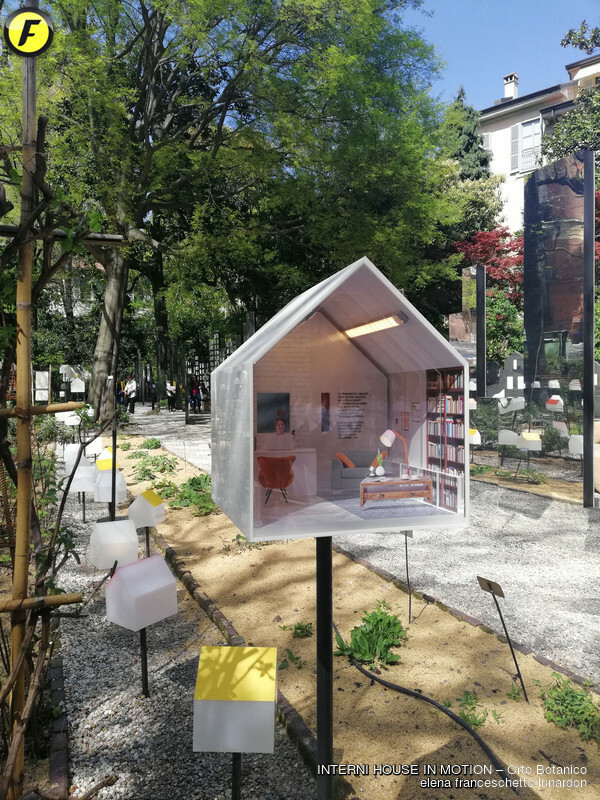 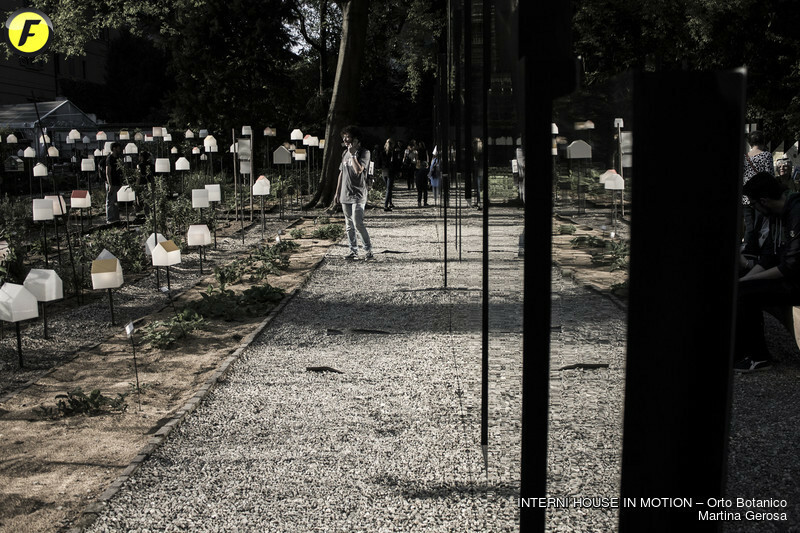 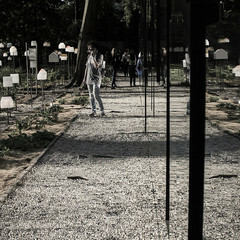 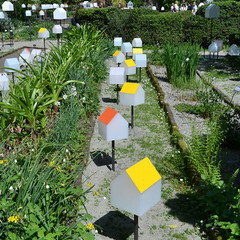 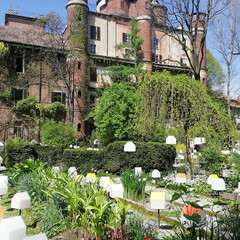 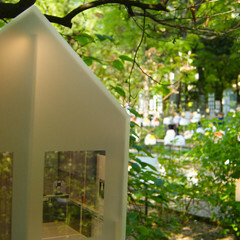 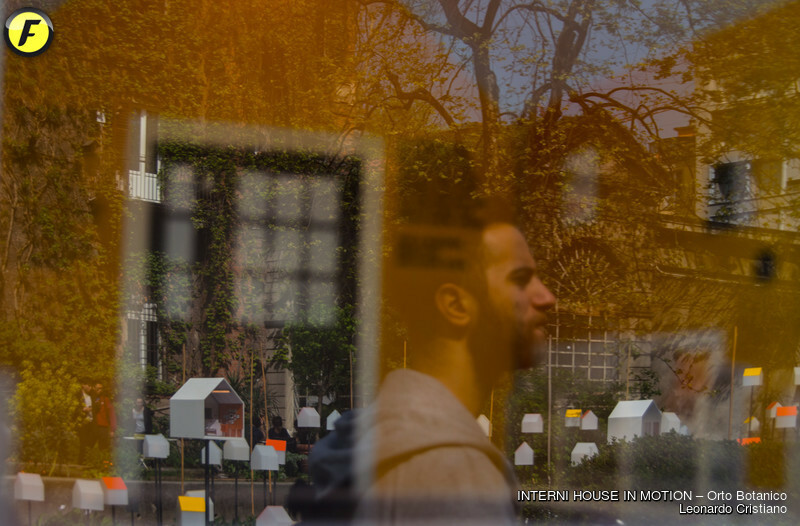 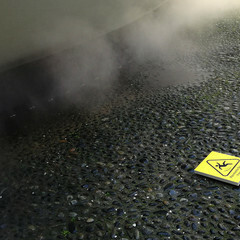 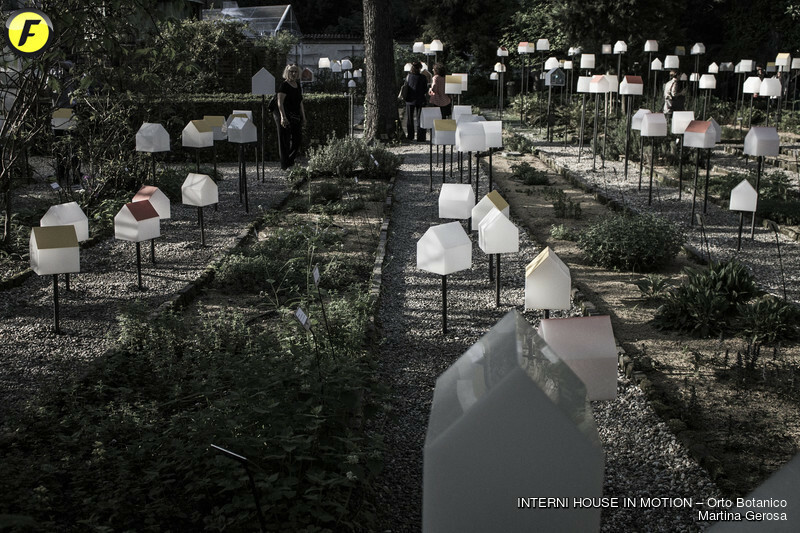 The installation is part of the exhibition-event HOUSE IN MOTION (16-28 April), organized by the magazine Interni, bringing together a series of architecture and design installations at Università degli Studi di Milano, Orto Botanico di Brera, and the Audi City Lab (Corso Venezia 11). 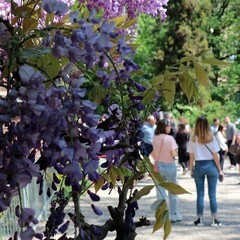 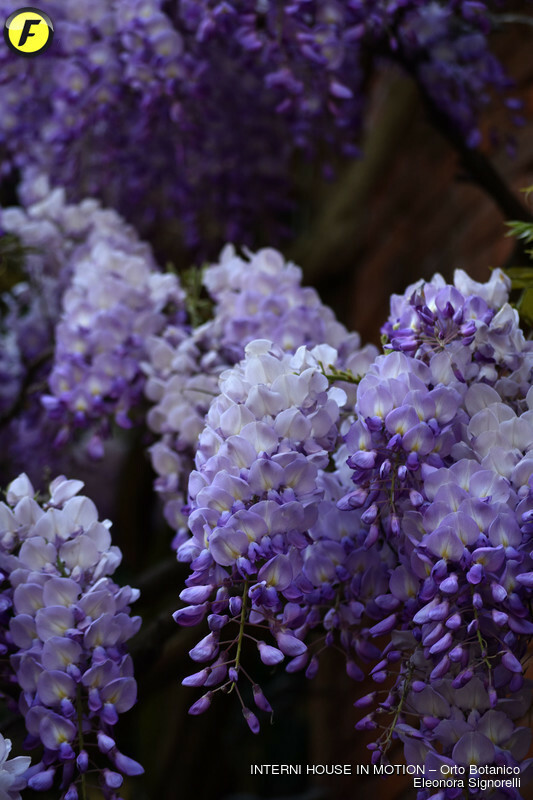 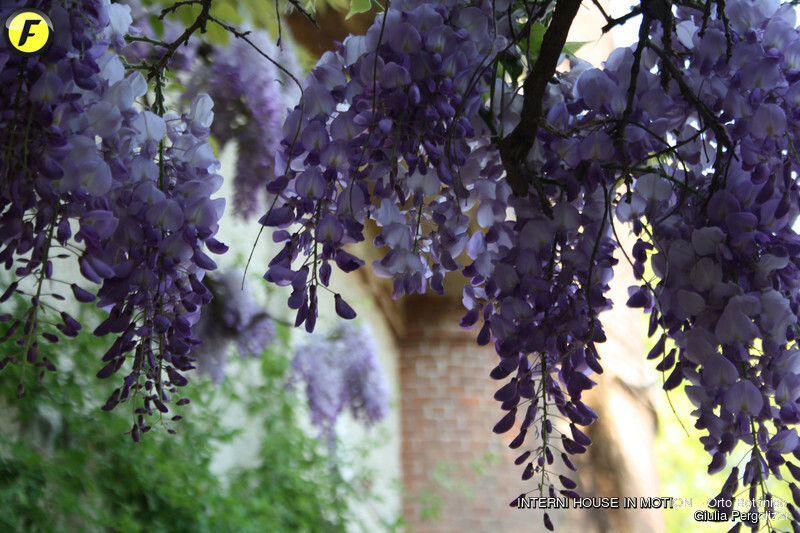 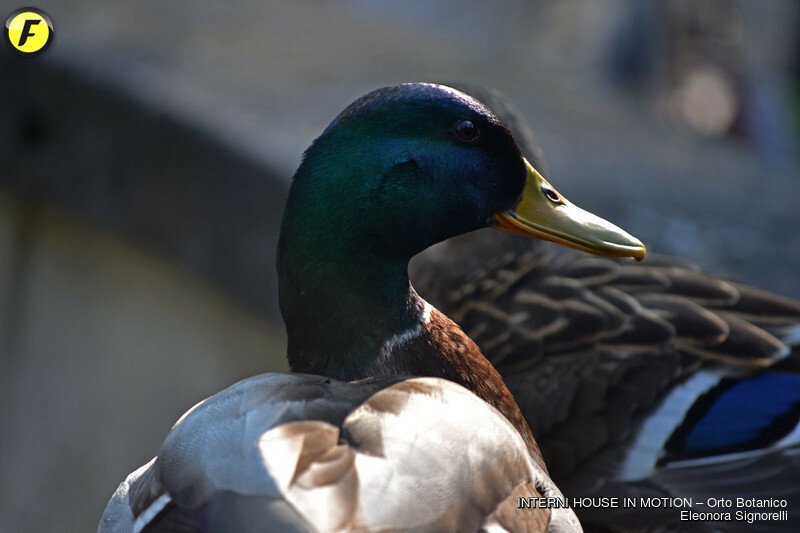 dal 16 al 22 aprile 2018 dalle h 10.00 alle h 23.00; dal 23 al 27 aprile 2018 dalle h 10.00 alle h 22.00; 28 aprile 2018 dalle h 10.00 alle h 18.00.